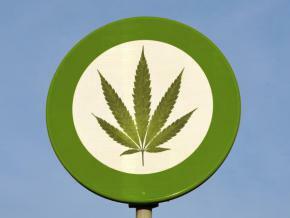 On July 31st 2013 Uruguay’s lower house successfully passed a marijuana legalization bill. 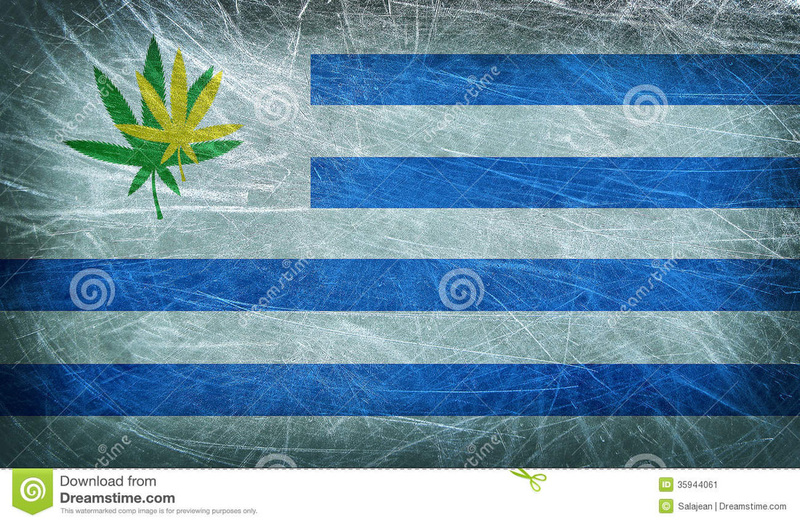 Setting Uruguay in position to become the first country that will legally regulate the production, distribution and sale of marijuana. The President of Uruguay, Jose Mujica, has been on a mission to deal with the rise in illegal drug trade and trafficking which has plagued the region. The government will purchase marijuana from licensed growers and distribute it to pharmacies, while private citizens will be permitted to grow the plant for personal use. Uruguay is now at the forefront of globally reforming our ever costly, and perpetually failing archaic drug policies. 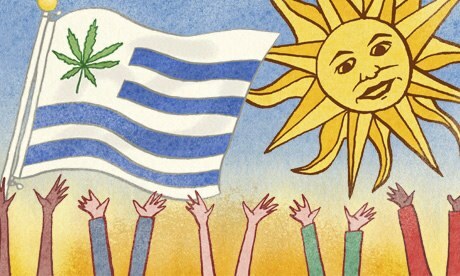 If this endeavor succeeds, Uruguay will become the first nation that will allow its citizens to legally grow and consume marijuana for non-medical purposes. - Juan Vaz, head of AECU (the Uruguayan Cannabis Studies Association). 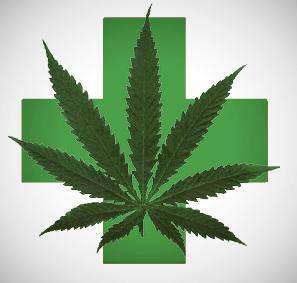 The bill originally proposed that the marijuana should be solely produced by the state. 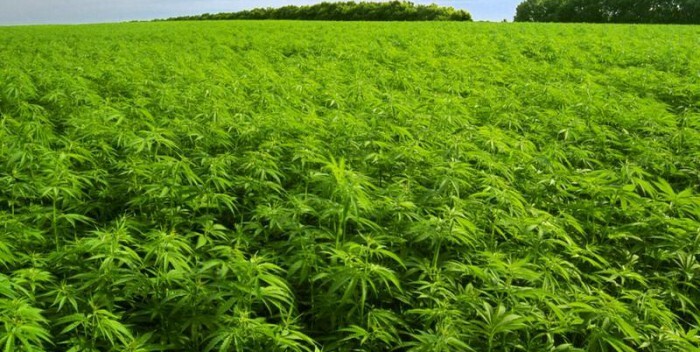 However, the version of the bill that was approved enables the government to establish an institution which will grant licenses to private growers. The production of those private growers is going to be sold only through pharmacies to registered users. This will be the first time that a country will legalize marijuana and allow for a legal regulatory system of growing and distribution of the product. The bill still has to move through the Senate, but with a government majority in the upper house it is expected to pass at some point in the fall. Once passed, the legislation would make the small South American country the first in the world to completely legalize marijuana. 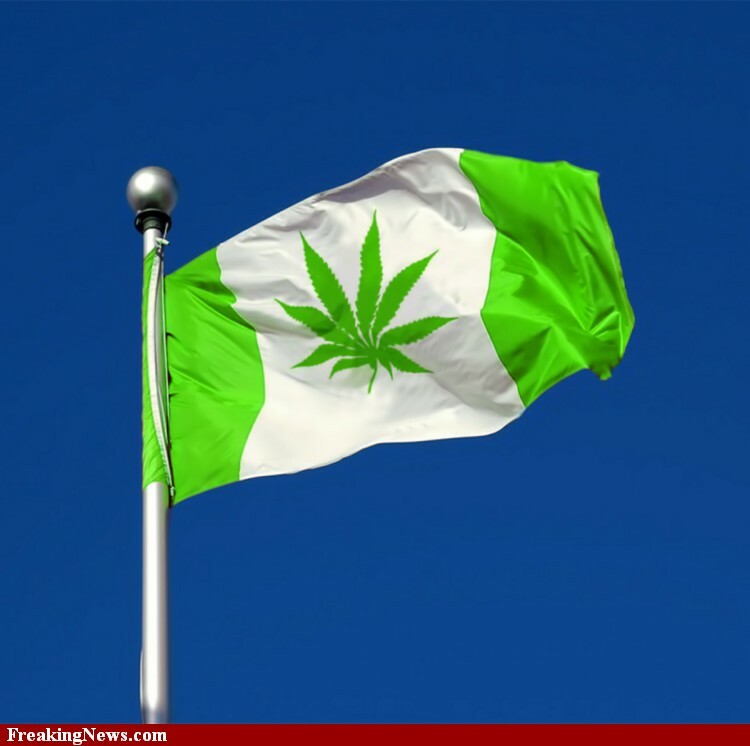 Not surprising, the United Nations International Narcotics Control Board condemned the success of the bill, and the movement of the government in Uruguay to legalize marijuana. Uruguay has become another step in the right direction of reforming our failing stance and policies on drug use. 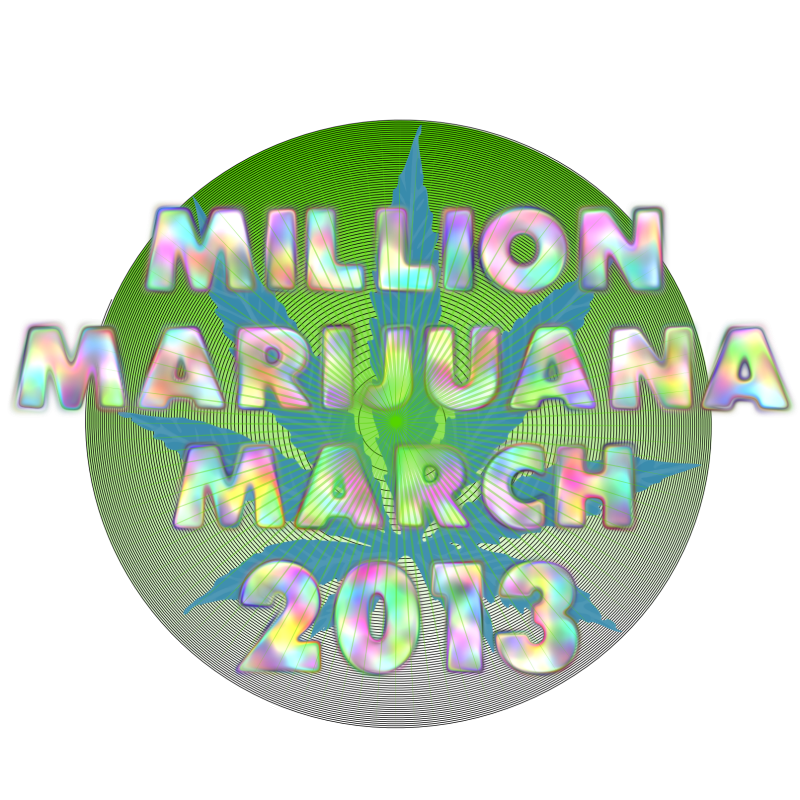 Joining other successes such as Colorado and Washington, which were successful in legalizing marijuana for recreational use. After decades there has been billions of dollars spent on the war on drugs, and yet it has failed to achieve any of its goals. Thankfully, it is becoming a more widely accepted and popular belief that individuals should be free to consume whatever they want to, as long as they are not harming any other person or another person’s property. 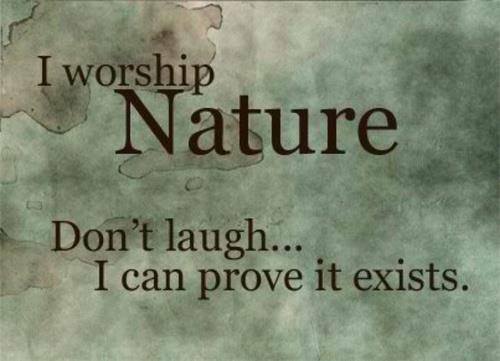 A belief guided by the moral compass of individual liberty and non-aggression. Getting tougher on drug use has shown not to reduce recidivism or prevent drug use. 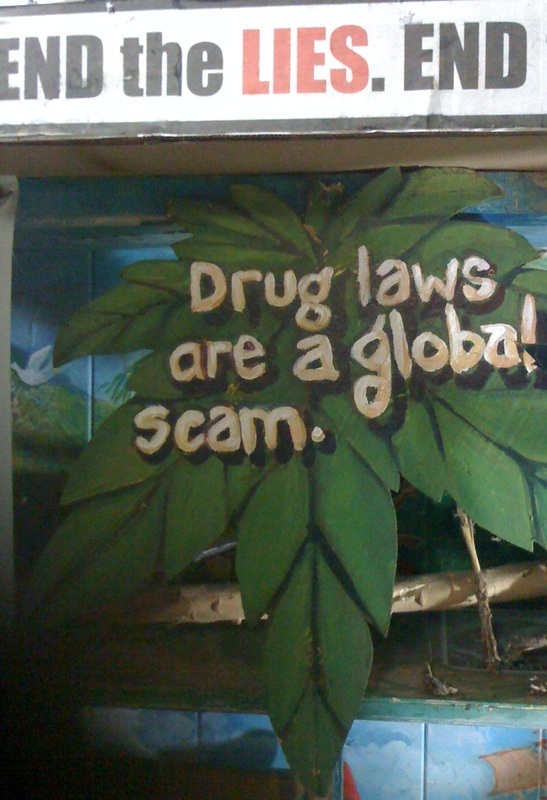 Our drug policies are failing. 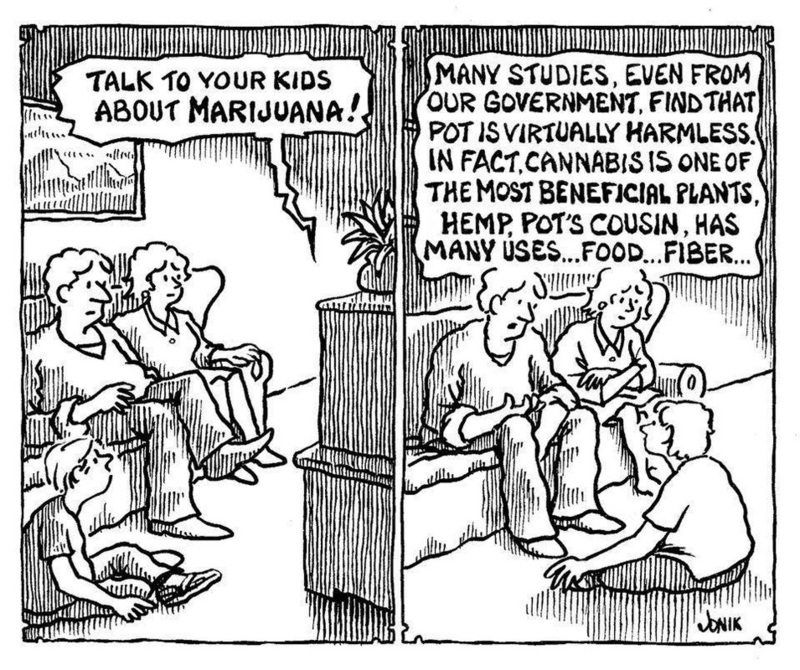 Meanwhile more people are learning about the benefits of industrial hemp, and the consumption of marijuana. Trying to list all of the medicinal and medical benefits of marijuana is like trying to name and list all of the stars in the sky. Medical marijuana Cannabis for dogs and cats is one thing. But medical marijuana for horses!? Yes, its true and its not a new concept in veterinary medicine. 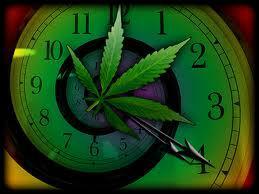 Cannabis has been used as a medical remedy for horses across the globe and the sands of time. From the ancient Greeks to modern-day farriers and horse owners, marijuana has been widely employed to successfully address a range of medical problems. There are numerous historical references to cannabis being used for sedation and as an adjunct to anesthesia in equine medicine. Fresh leaves were used to dress horses’ sores, dried ones against nosebleed. Greek writers reported the use of cannabis in treating horses–especially for dressing sores and wounds–and in treating humans. 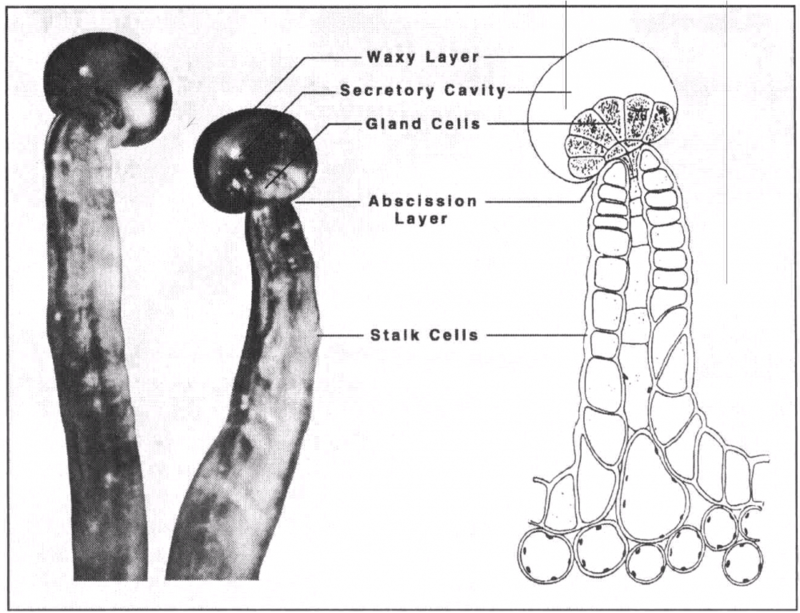 Here we find the dried leaves used against nosebleed and the seeds used against tapeworms, but the most frequently mentioned treatment involves steeping thegreen seeds in a liquid such as water or a variety of wine, then pressing out the liquid, which when warmed was instilled into the ear as a remedy for pains and inflammations associated with blockages. According to a collection of horse-remedies known as the “Berlin Hippiatrica”, the chopped leaves can be used to dress a wound: first some vinegar and pitch are brought to a full rolling boil, then wax, mustard, wheat-chaff, and roasted pine-resin are added, and the resulting mixture (presumably cooled) is applied liberally, then chopped cannabis leaves and grass trimmings are put on top before the wound is bound. 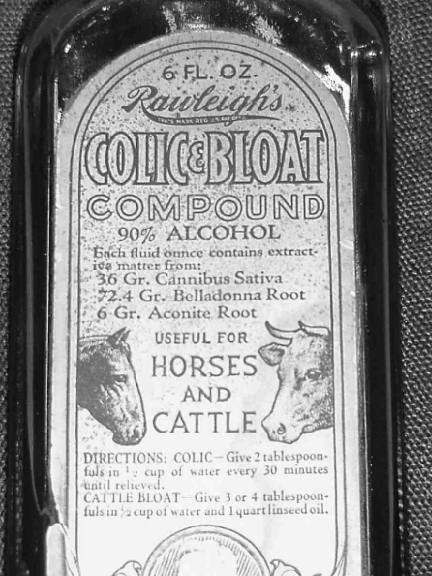 A Remedy for Equine Colic?Until relatively recently, cannabis was found in a large number of veterinary medications designed to treat colic, spasmodic colon and other ailments in equine patients. The bottles of some of these drugs survive to provide us with evidence of the therapeutic benefits of this ubiquitous plant. There was a time when U.S. Government supplies cannabis was a part of the standard first aid kit for troopers who also had to pull double duty as veterinarians while in the field. The following excerpts are from a historical field manual issued to cavalry soldiers in the times when they rode horses rather than helicopters. Cannabis was apparently used by the army primarily to treat intestinal disorders, wounds and other painful conditions in horses. A Modern Horse Owner’s First-Hand Account:While I have received several emails directly from horse owners outlining their personal experiences administering marijuana to their pets, one conversation in particular stands out. “I have owned my mare Phoenix for 7 years. she is a 13.3 hand paso fino, about 17 years old. She has DSLD (Degenerative Suspensory Ligament Disease) and arthritis in her back and hips, mostly the right hip. She has always limped in the front. i was giving bute ( Phenylbutazone, or “bute”, is a nonsteroidal anti-inflammatory drug) on her bad days, 1 to 2 tablets. This helped some, but didnt last long. Brunner, T. 1973. Evidence of marijuana use in ancient Greece and Rome? The literary evidence. Bulletin of the History of Medicine 47(4): 344-55. Brunner, T. 1977.Marijuana in ancient Greece and Rome? 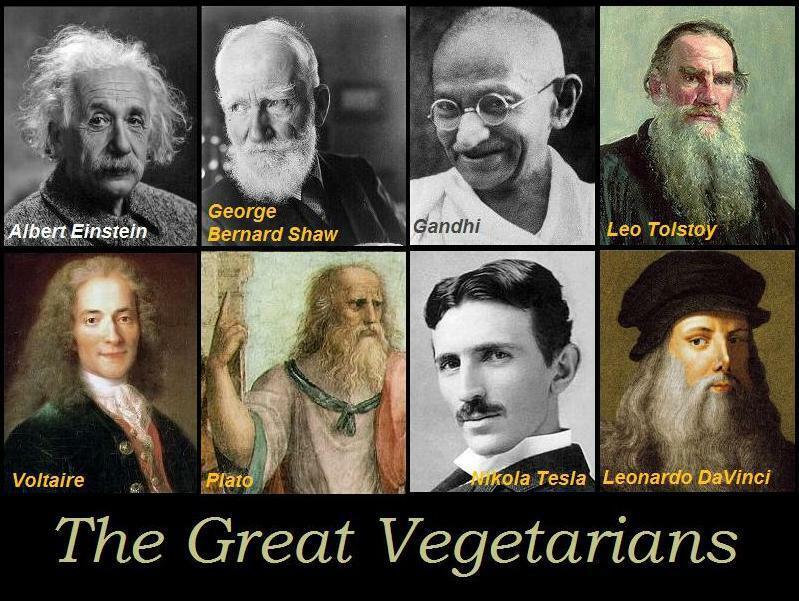 The literary evidence. Journal of Psychedelic Drugs 9(3): 221-5. 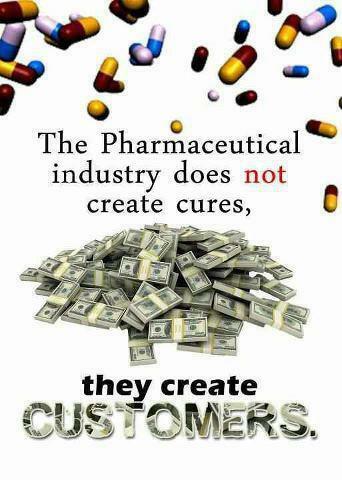 Of all the appalling things we deal with when it comes to modern medicine, Big Pharma is the worst. The greedy, gluttonous drug industry rakes in multibillion-dollar profits by charging cancer patients as much as six-figures a year for “life-saving” medication that, in fact, offers no confident chance of healing at all. Recently, a group of 120 leading cancer specialists decided they’d had enough and launched a protest against the greed of Big Pharma, written up in a new paper published in Blood, the journal of the American Society of Hematology. I’m more than excited that cancer doctors, of all people, are finally blowing the whistle. Many patients are required by their insurance providers to pay roughly 20 percent of the total cost of the drug. That quickly adds up to sky-rocketing out-of-pocket payments. Just in the last ten years, average monthly costs for cancer drugs have doubled, up from $5,000 to more than $10,000 per month. I’m really and truly puzzled that people would pay more than $100,000 for two more months of life, especially two miserable months on chemo. I don’t get it. For this we leave our spouses and children destitute? BUT NOW YOU HAVE THE KNOWLEDGE, YOU CAN CURE YOUR OWN CANCER! And the unofficial estimate is even worse — chemo shortens a life, IT DOES NOT extend it. For the late-stage patient it’s a bust (literally, in terms of their bank account.) Of course, mainstream doctors don’t know the “unofficial” figure — or claim they don’t — but even their “drug-company-provided” estimate that you’ll live two more weeks or two more months or whatever is so absurd, I marvel that patients go for it. Treating cancer is BIG business in America — in fact, it’s a $200 billion a year business. Yet 98 percent of conventional cancer treatments not only FAIL miserably, but are also almost guaranteed to make cancer patients sicker. 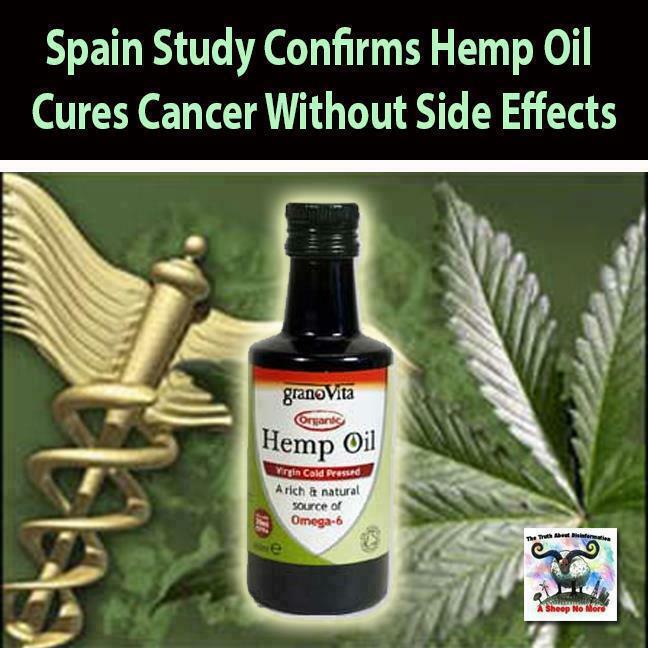 What’s worse: The powers are suppressing natural cancer cures that could help tens of thousands of people get well and live cancer free with little or no dependence on drugs, surgery and chemotherapy. 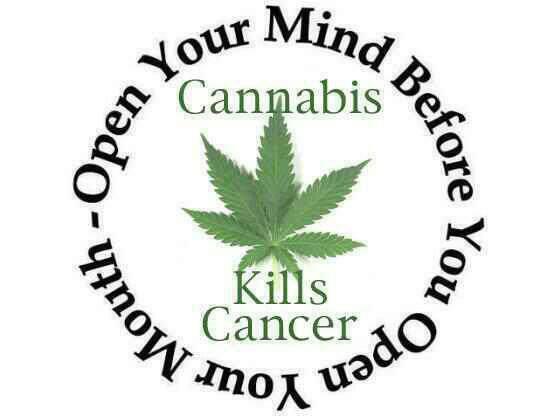 Chemotherapy kills more than cancer. Want proof? Did you know that 9 out of 10 oncologists would refuse chemotherapy if they had cancer? That’s up to 91% — a huge percentage that clearly shines a light on the truth: chemotherapy kills. Conventional oncologists are not only allowing this to happen, but they’re also bullying many patients into chemotherapy and surgery right after their diagnoses. Please take responsibility for your own health! In every cell there is a family of interconvertible sphingolipids that specifically manage the life and death of that cell. This profile of factors is called the “Sphingolipid Rheostat.” If endogenous ceramide(a signaling metabolite of sphingosine-1-phosphate) is high, then cell death (apoptosis) is imminent. Ifceramide is low, the cell is strong in its vitality. 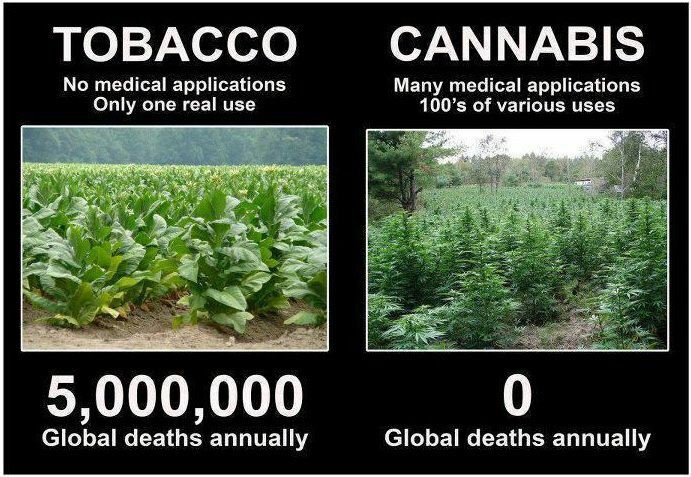 OUR Smokeless Medicine: One of the major criticisms of cannabis as medicine is the idea that it must be smoked. While smoked cannabis is not nearly as harmful as smoked tobacco it is important to recognize that there are both benefits and risks to smoking as a route of administration. The primary risk is respiratory inflammation including bronchitis. Much of the cannabis currently available is rather crude and produces a hot smoke that can irritate delicate lung tissues and aggravate existing respiratory problems. 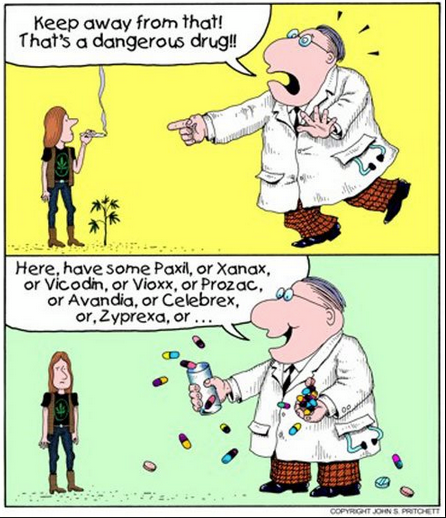 These problems alone are enough for the majority of physicians to refrain from recommending cannabis as medicine. 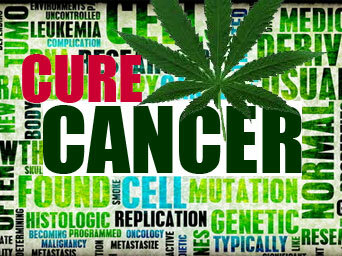 Arguments detailing the expectorant, anti respiratory pathogen effect, and anti neoplasm effects of cannabis are insufficient for physicians and many patients to feel comfortable with smoking medicine. The benefit from smoking as a route of administration is instant action and the ability of the patient to self titrate the dose needed for relief. Here we describe how patients can achieve similar quick acting relief and the ability to control dose without smoking. 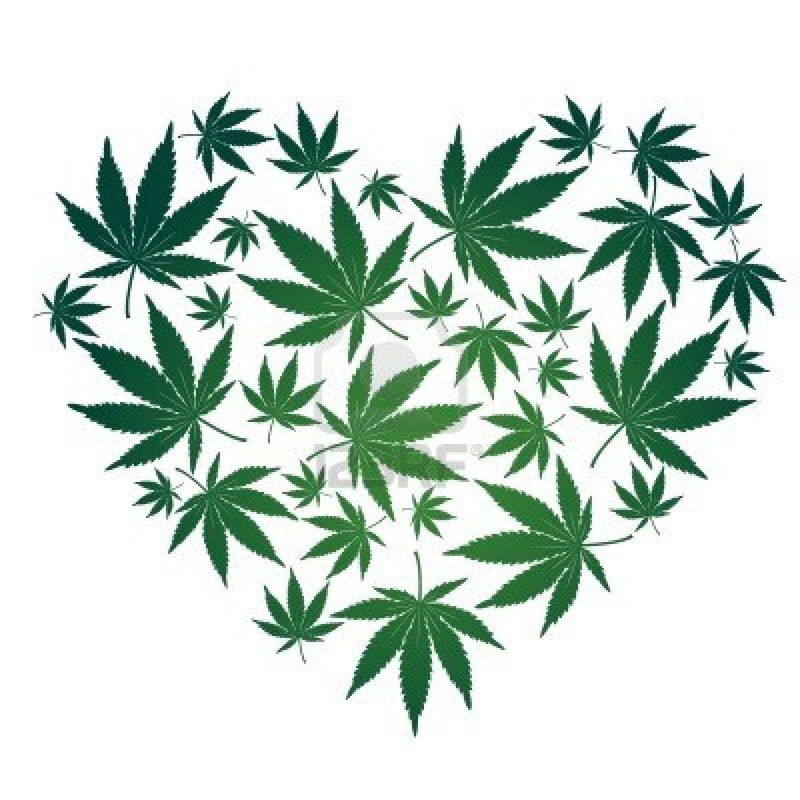 It is important that the medical community understand that whole cannabis products are available today that provide significant relief without smoking. 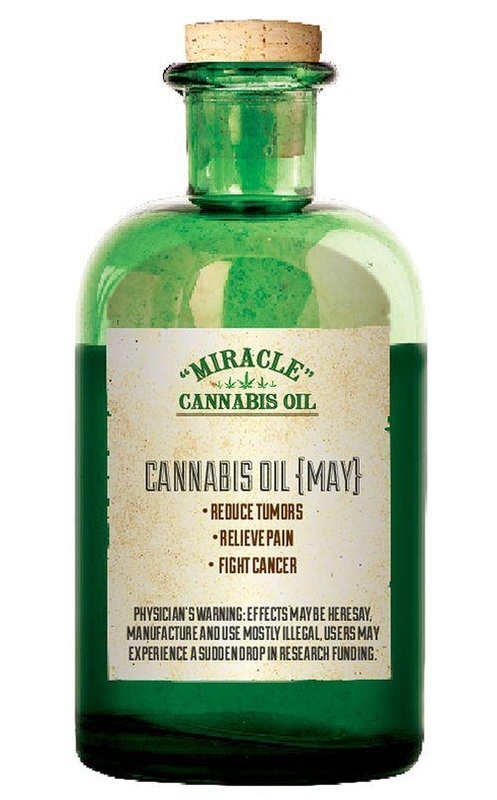 There are two major and one minor method of achieving the aims of quick action and dose control.1) The first is the use of cannabis tinctures or alcohol-based spray. 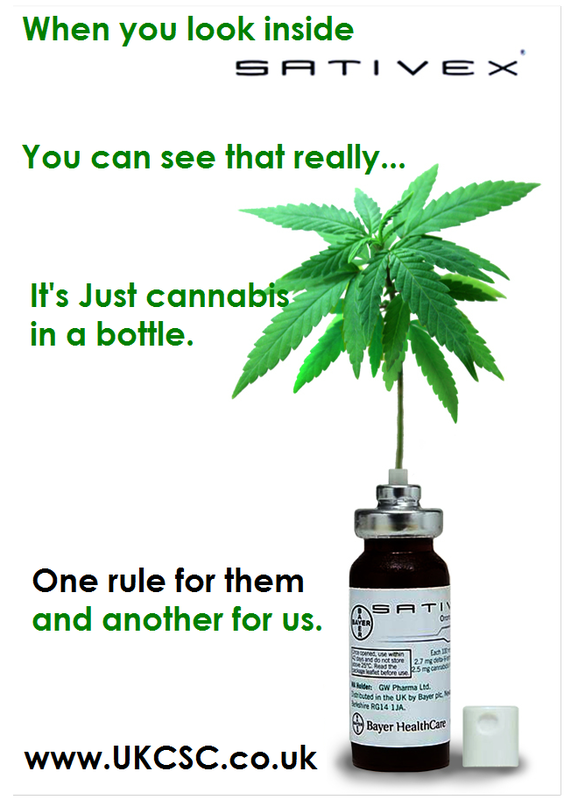 Tinctures are essentially alcohol extractions of whole cannabis (usually the flowers and trim leaves). Our unique technology of extraction allows us to make tinctures that contain all of the essential cannabinoids instead of only few. 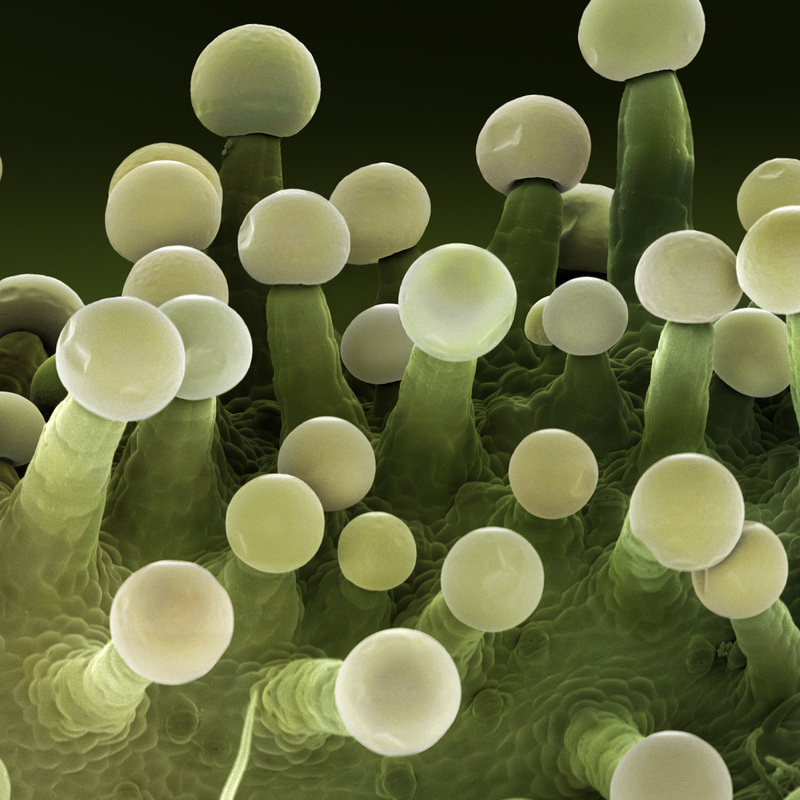 Some of the cannabinoids such as cannibidiol (CBD) actually reduce the psychoactive effects of THC while increasing the overall efficacy of the preparation. The best way to use tinctures or spray is sublingually (under the tongue). Titration or dose control is easily achieved by the number of drops a patient places under the tongue where the medicine is rapidly absorbed into the arterial system and is quickly transported to the brain and body. All a patient need do with tincture is use a few drops, wait for the desired medical effects, and either use more or stop as the situation indicates. They are best stored in dark bottles in the refrigerator. Since our tinctures preparation involves use of 198-proof alcohol, meaning 99% by volume grain alcohol, there is little worry of bacterial or other biological contamination. Absorption by the arterial blood supply under the tongue is completed in seconds. One trick is to not swallow (!) the dose as, if swallowed, absorption will be in the GI tract. Our raw cannabis “oil” tinctures or sprays are an excellent way to maintain consistent cannabinoid levels. These levels can be therapeutic without being psychotropic!2) The second (and newer) major method of non smoking cannabis delivery are vaporizers pens. All vaporizers pens essentially use a controlled heating element that raises the temperature of whole cannabis oil, just to the point where the cannabinoids vaporize. 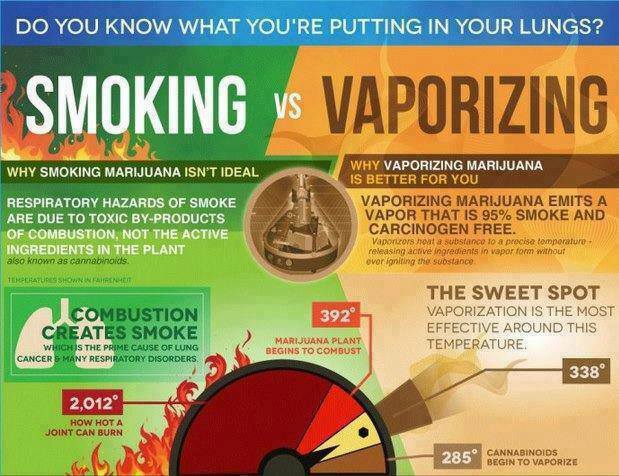 There is no combustion with vaporization and no chemical conversion from heat. There is no hot smoke to irritate the lungs and no annoying combustion byproducts. Vaporizing is far more efficient in delivering medicine than smoking so in the long run “vaping” is far cheaper than smoking as well as much healthier. Just as with smoking, a patient inhales a dose of vapor and waits one or two minutes to evaluate the effect. 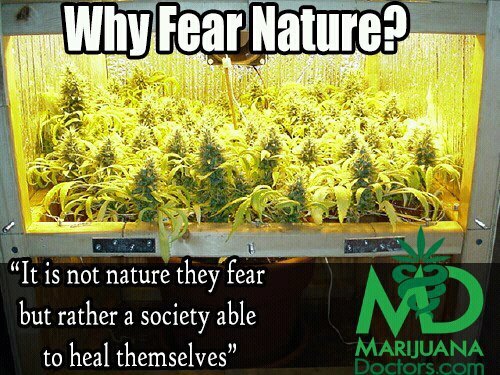 Patients can use only that amount that is necessary for the relief of symptoms. 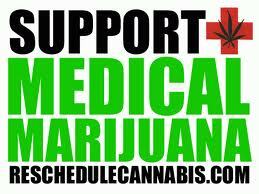 Some patients have never smoked (either cannabis or cigarettes) and don’t have to in order to obtain the full benefit of cannabis medicine. Other patients maintain basic cannabinoid levels with tincture or food products and then only smoke when they experience acute distress from their illness. These patients could just as easily vaporize for these acute episodes. Applications: sublingually (under the tongue). DetailsMedical Conditions:All skin conditions: Skin wounds, Back Pain, Cramps, Joint Inflammation, Joint Pain, Muscle Pain, Muscle Spasms, Neck Pain. 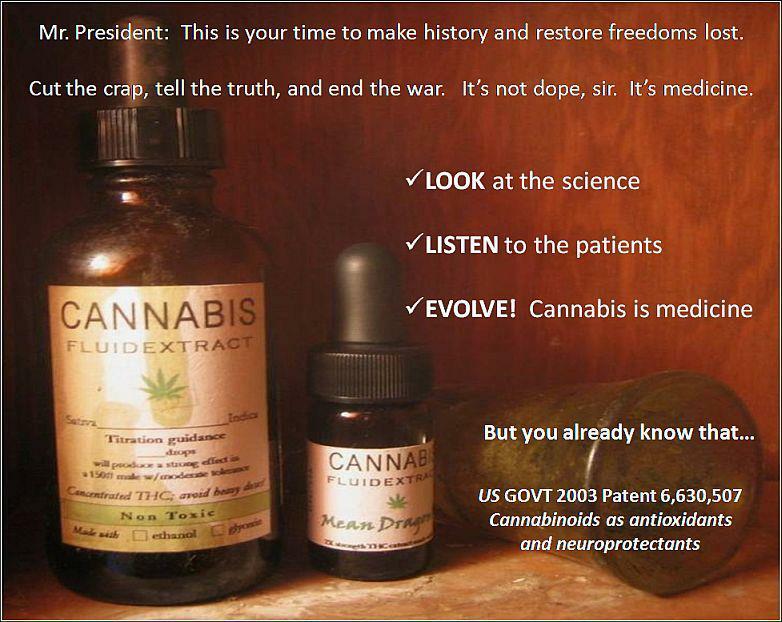 Today the 5000 year medical history of cannabis has been almost forgotten. Its use declined in the early 20th century because the potency of preparations was variable, responses to oral ingestion were erratic, and alternatives became available — injectable opiates and, later, synthetic drugs such as aspirin and barbiturates. 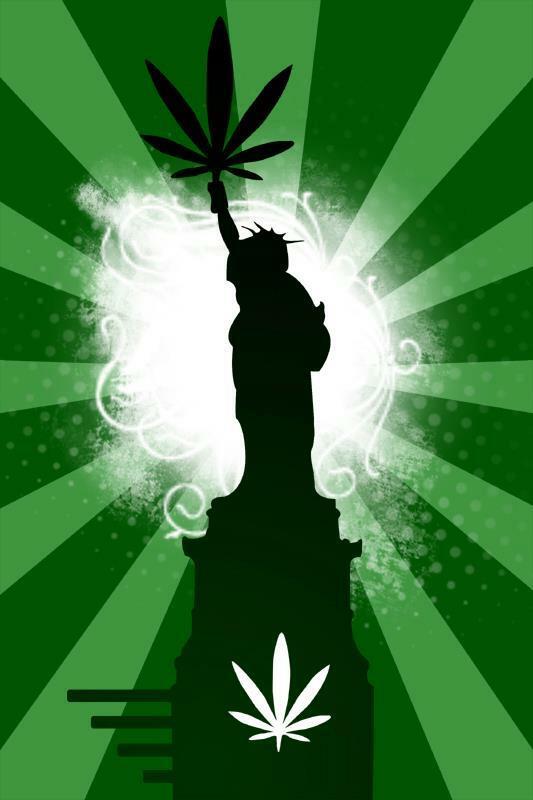 In the United States, the final blow was struck by the Marihuana Tax Act of 1937. Designed to prevent nonmedical use, this law made cannabis so difficult to obtain for medical purposes that it was removed from the pharmacopeia. It is now confined to Schedule I under the Controlled Substances Act as a drug that has a high potential for abuse, lacks an accepted medical use, and is unsafe for use under medical supervision. 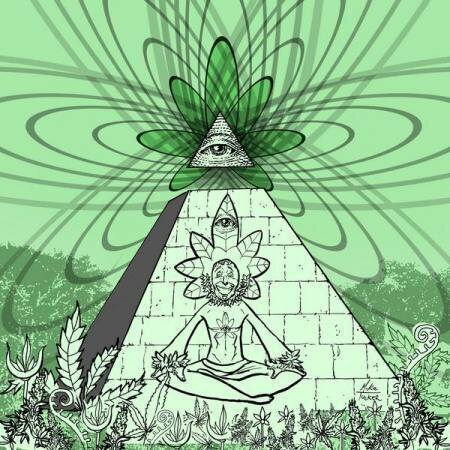 In 1972 the National Organization for the Reform of Marijuana Laws petitioned the Bureau of Narcotics and Dangerous Drugs, later renamed the Drug Enforcement Administration (DEA), to transfer marihuana to Schedule II so that it could be legally prescribed. As the proceedings continued, other parties joined, including the Physicians Association for AIDS (Acquired Immunodeficiency Syndrome) Care. It was only in 1986, after many years of legal maneuvering, that the DEA acceded to the demand for the public hearings required by law. During the hearings, which lasted 2 years, many patients and physicians testified and thousands of pages of documentation were introduced. 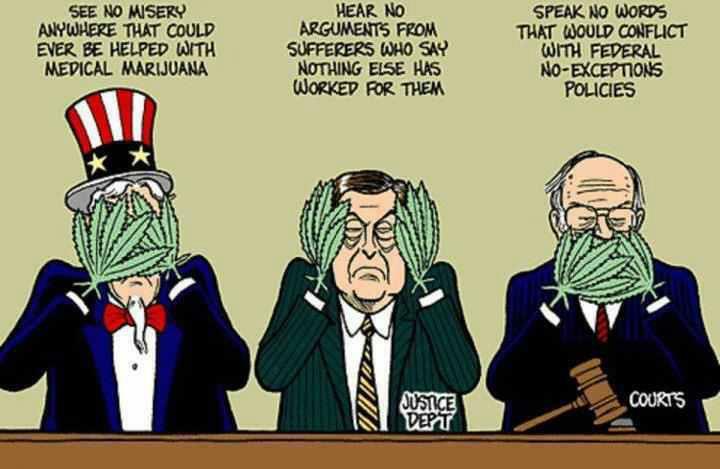 In 1988 the DEA’s own administrative law judge, Francis L. Young, declared that marihuana in its natural form fulfilled the legal requirement of currently accepted medical use in treatment in the United States. He added that it was “one of the safest therapeutically active substances known to man.” His order that the marihuana plant be transferred to Schedule II was overruled, not by any medical authority, but by the DEA itself, which issued a final rejection of all pleas for reclassification in March 1992. 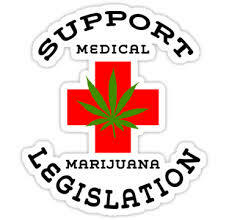 Meanwhile, a few patients have been able to obtain marihuana legally for therapeutic purposes. Since 1978, legislation permitting patients with certain disorders to use marihuana with a physician’s approval has been enacted in 36 states. 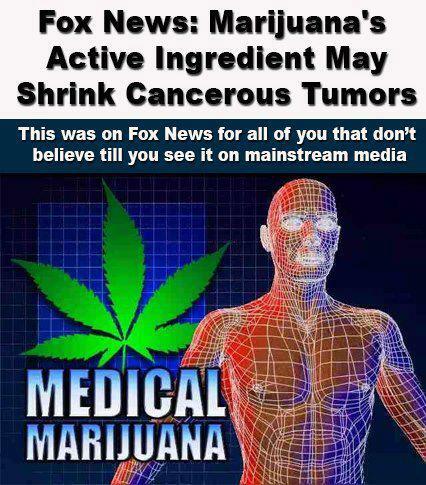 Growing demand also forced the FDA to institute an Individual Treatment IND (commonly referred to as a Compassionate IND) for the use of physicians whose patients needed marihuana because no other drug would produce the same therapeutic effect. 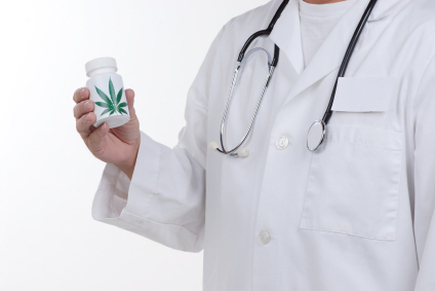 The application process was made enormously complicated, and most physicians did not want to become involved, especially since many believed there was some stigma attached to prescribing cannabis. 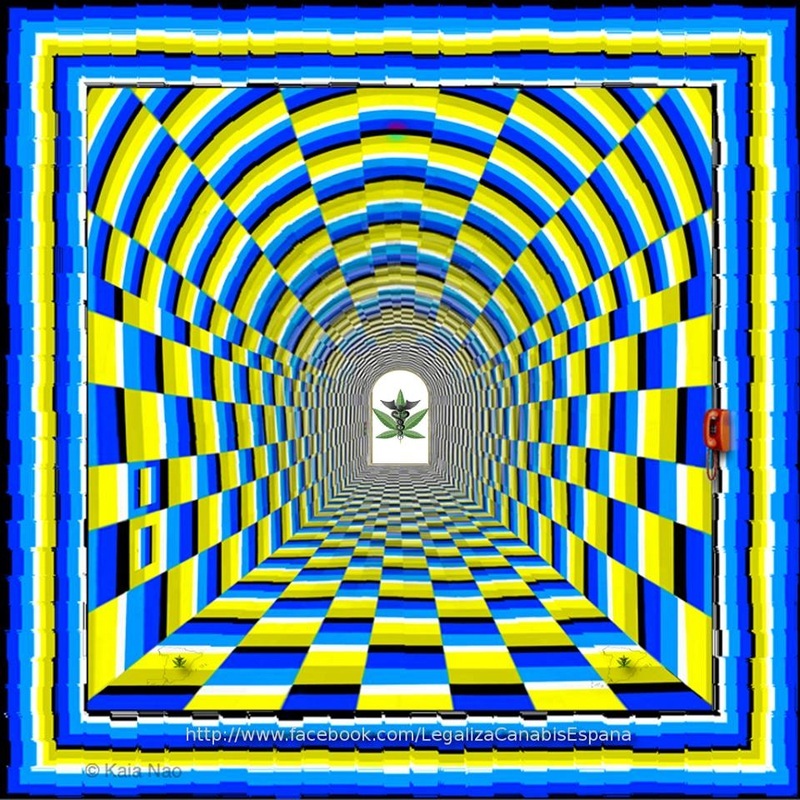 Between 1976 and 1988 the government reluctantly awarded about a half dozen Compassionate INDs for the use of marihuana. In 1989 the FDA was deluged with new applications from people with AIDS, and the number granted rose to 34 within a year. In June 1991, the Public Health Service announced that the program would be suspended because it undercut the administration’s opposition to the use of illegal drugs. After that no new Compassionate INDs were granted, and the program was discontinued in March 1992. Eight patients are still receiving marihuana under the original program; for everyone else it is officially a forbidden medicine. 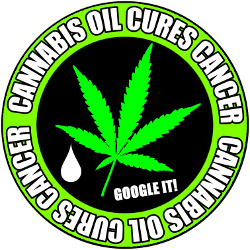 Dr. Sean McAllister’s research at the Pacific Medical Center in San Francisco indicates that CBD reduces breast cancer cell proliferation, invasion and metastasis by inhibiting Id-1 gene expression. 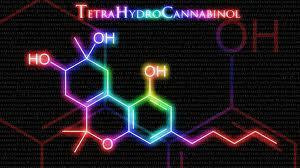 Best results were obtained when CBD was administered in combination with THC. 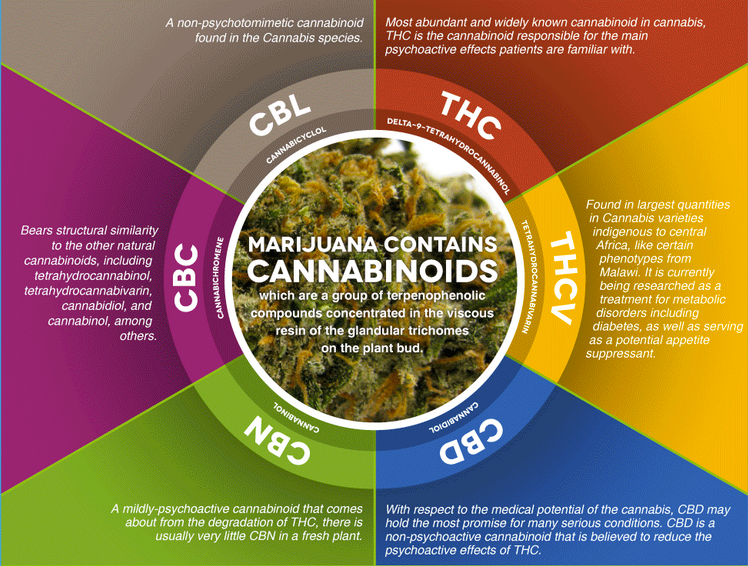 Several other studies underscore the therapeutic advantages for combining CBD and THC. 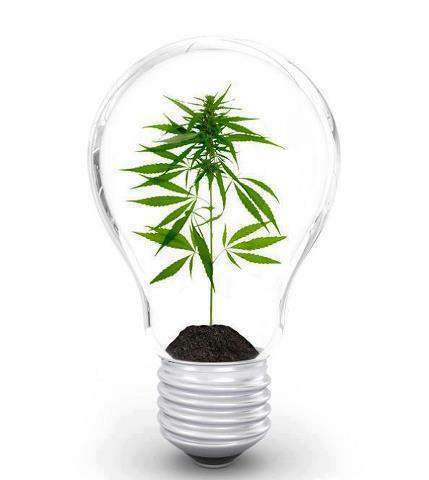 CBD has been shown to be a potent anti-oxidant that mitigates the negative effects of oxygen free radicals. These highly reactive free radical chemicals are produced when animals use oxygen to burn food for fuel. A great deal of data suggests that many problems associated with aging stem from the inability of an organism to protect itself against free-radical-induced inflammation and oxidative stress. This provides a fertile ground for the development of neurodegenerative and other age-related illnesses. Cardiovascular, autoimmune, neurological disorders, cancers, and the aging process itself are all thought to have free radicals as a causative agent. Further, they are implicated in the formation of protein amyloid plaques — plaques that can attack neural synapses and prevent normal chemical and electrical signaling. By binding up these free radicals, antioxidants can minimize the plaque formation cycle associated with the progression of Alzheimer’s disease. Accordingly, several studies have shown that CBD blocks Alzheimer’s plaque formation by a cannabinoid-receptor-independent mechanism. 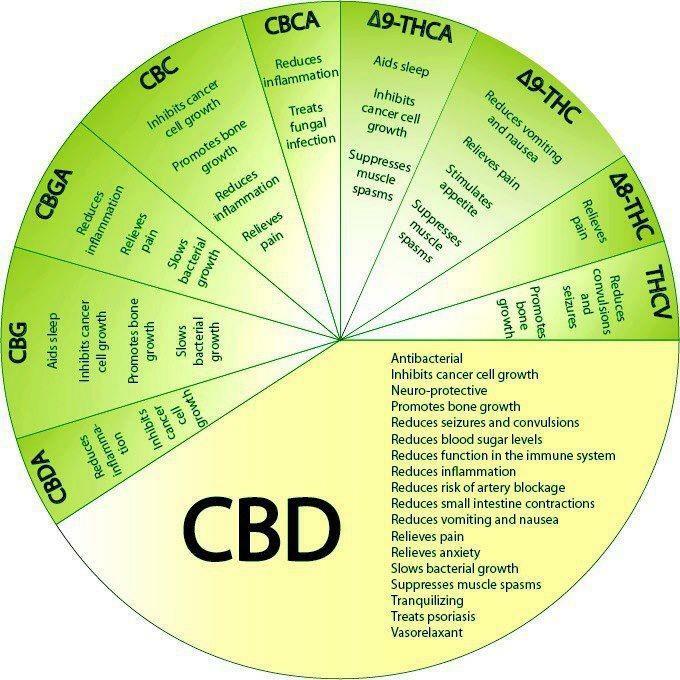 The antioxidant properties of CBD exceed the antioxidant potency of either vitamin C or E. When combined with THC, the antioxidant properties of CBD grow even stronger. Once again, whole-plant Cannabis therapeutics has been shown to be far greater than the sum of the herb’s individual medicinal components. 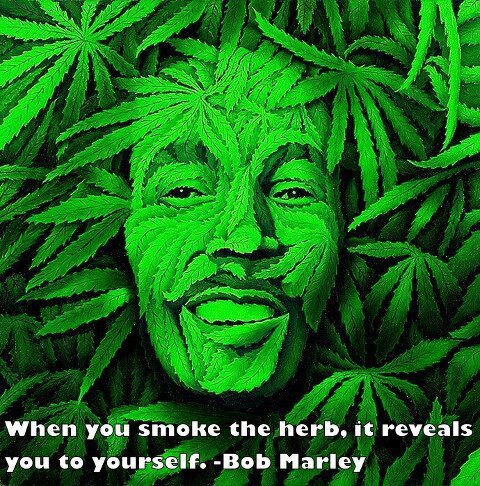 It was scientifically proven that when both THC and CBD are present and in it’s raw (acid) form, which means it was not “activated” through heat or decarboxylation, it does not become psychoactive! But the therapeutic and healing effect of its “un-activated” components becomes more prolonged and more effective. 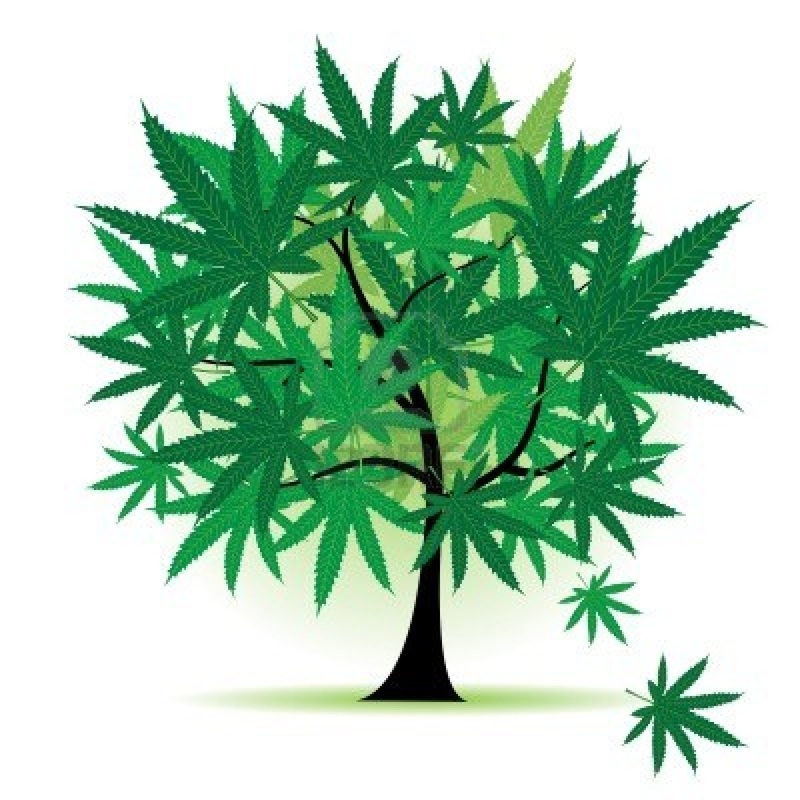 Martin A. Lee pulls together what medical researchers have learned about how CBD in the following article which will appear, with accompanying graphics, in the Summer 2011 O’Shaughnessy’s. Cannabidiol (CBD), a non-psychoactive component of the Cannabis plant, has generated significant interest among scientists and physicians in recent years — but how it exerts its therapeutic impact on a molecular level is still being sorted out. 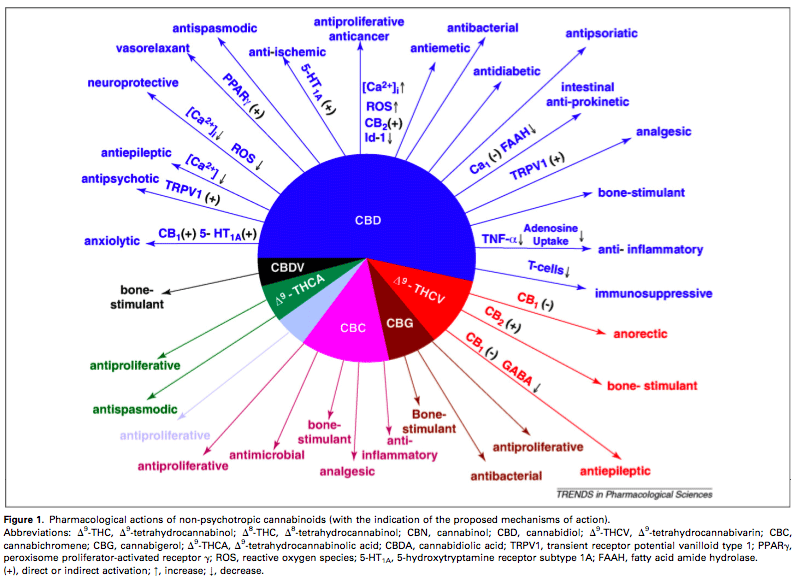 CBD and FAAH CBD has little binding affinity to either the CB1 or CB2 cannabinoid receptors. Instead, CBD indirectly stimulates endogenous cannabinoid signaling by suppressing the enzyme fatty acid amide hydroxylase (“FAAH”) — the enzyme that breaks down anandamide. 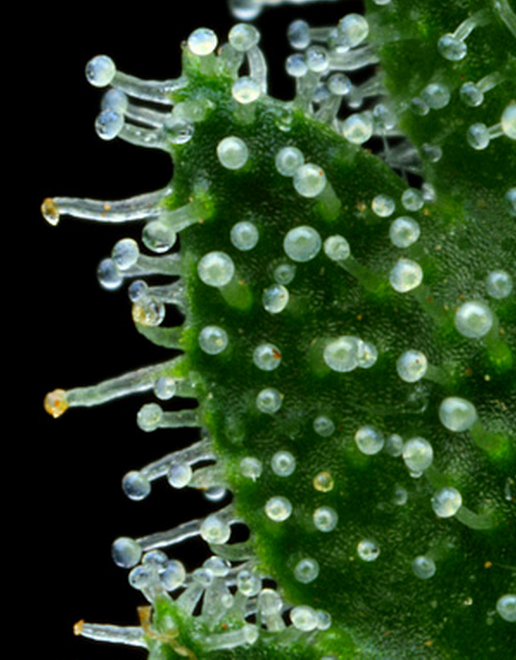 Whereas the cannabinoid molecules found in Cannabis are considered “exogenous ligands” to the CB receptor family, anandamide is an “endogenous” cannabinoid ligand –meaning it binds to one or more cannabinoid receptors and is found naturally inside the body. Anandamide favors the CB1 receptor, which — in mammals — is concentrated in the brain and central nervous system. Because FAAH is responsible for breaking down anandamide, less FAAH means more anandamide remains present in the body for a longer duration. More anandamide means greater CB1 activation. By inhibiting the enzyme that metabolizes and destroys anandamide, CBD enhances the body’s innate protective endocannabinoid response. 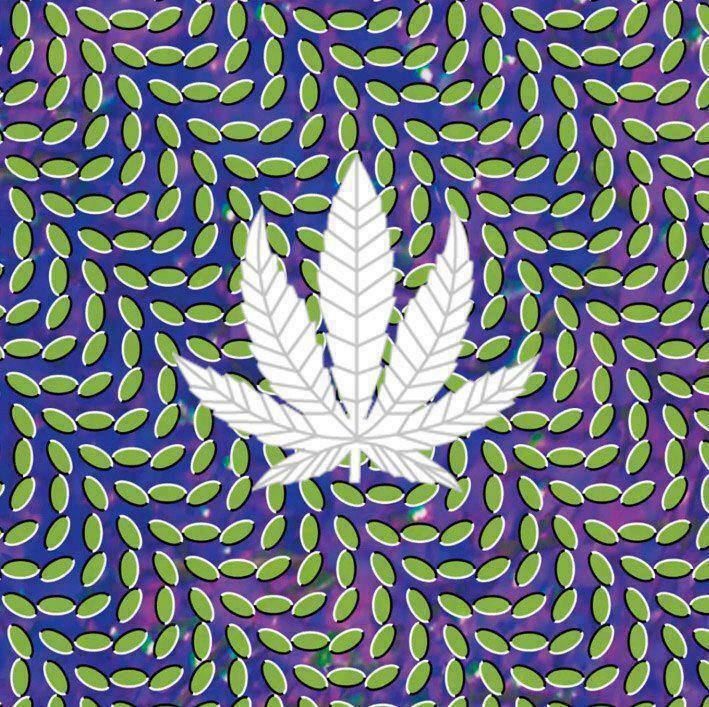 At the same time, CBD powerfully opposes the action of THC at the CB1 receptor, thereby muting the psychoactive effects of THC. 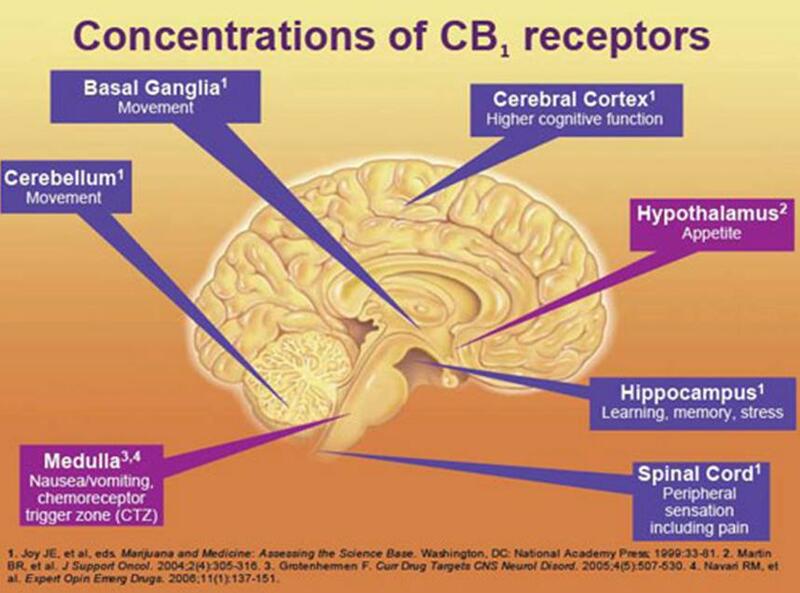 CBD also stimulates the release of 2-AG, another endocannabinoid that activates both CB1 and CB2 receptors — CB2 receptors are predominant in the peripheral nervous system and the immune system. Whereas CBD does not bind to either of the two known cannabinoid receptors with particular affinity, it has been shown to directly interact with other, so-called “G-protein-coupled,” receptors to confer its medicinal effect. At very least, CBD binds to the TRPV-1 receptor, which is known to mediate pain perception, inflammation and body temperature. TRPV is the technical abbreviation for “transient receptor potential cation channel subfamily V.” Scientists also refer to it as the “vanilloid receptor,” named after the flavorful vanilla bean. Capsaicin — the pungent compound in hot chili peppers — is a well known activator of the TRVP-1 receptor. Vanilla contains eugenol, an essential oil that has antiseptic and analgesic properties, that also helps to unclog blood vessels. Historically, the vanilla bean has been used as a folk cure for headaches. 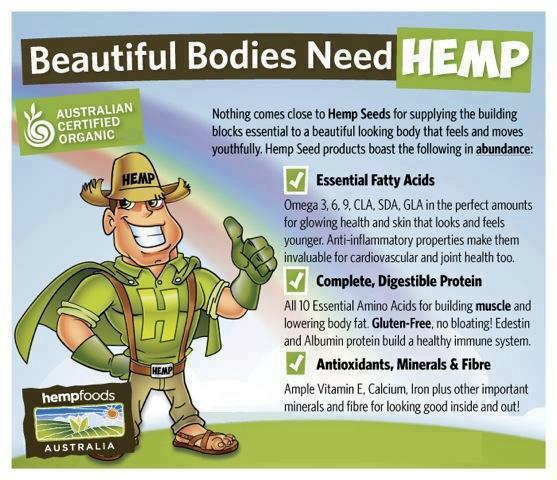 CBD is a TRPV-1 “agonist” or stimulant. This is likely one of the reasons why CBD-rich Cannabis may be a particularly effective treatment for neuropathic pain. CBD may exert its anti-anxiety effect by activating adenosine receptors. Adenosine receptors play significant roles in cardiovascular function, regulating myocardial oxygen consumption and coronary blood flow. The adenosine (A2A) receptor has broad anti-inflammatory effects throughout the body. Jose AlexandreCrippa and his colleagues at the University of San Paulo in Brazil and at the King’s College in London have conducted pioneering research into CBD and the neural correlates of anxiety. At high concentrations, CBD directly activates the 5-HT1A (hydroxytryptamine) serotonin receptor, thereby conferring an anti-depressant effect. This receptor is implicated in a range of biological and neurological processes, including, but not necessarily limited to, anxiety, addiction, appetite, sleep, pain perception, nausea and vomiting. GPR55 Whereas cannabidiol activates the TRPV-1 vanilloid receptor and 5-HT1A serotonin receptor, is also functions as an antagonist that blocks, or deactivates, another G protein-coupled receptor known as GPR55. GPR55 has been dubbed an “orphan receptor” because scientists are still not sure if it belongs to a larger family of receptors. 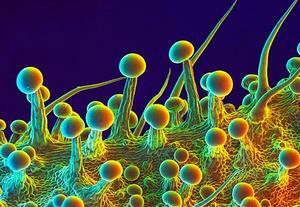 Some researchers postulate that GPR55 may actually be a third cannabinoid receptor type. GPR55 is widely expressed in the brain, especially in the cerebellum. It is involved in modulating blood pressure and bone density. 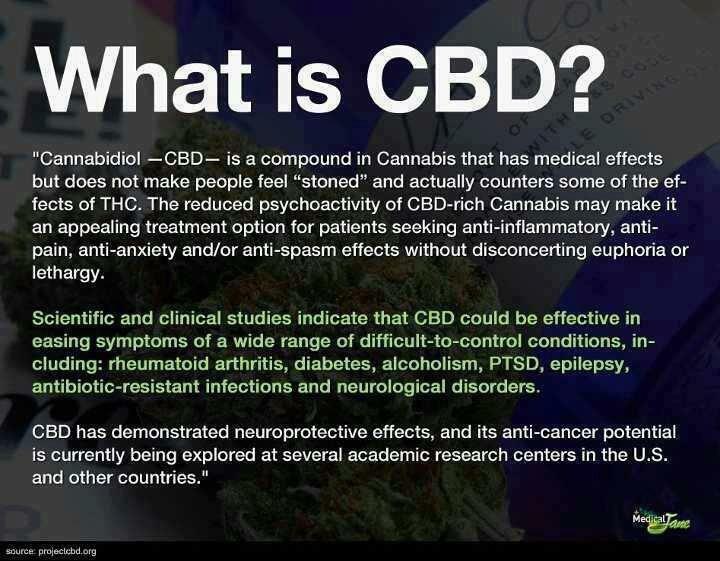 CBD is a GPR55 antagonist, as University of Aberdeen scientist Ruth Ross disclosed at the 2010 conference of the International Cannabinoid Research Society in Lund, Sweden. By blocking GPR55 signaling, CBD might act to decrease both bone reabsorption and cancer cell proliferation. 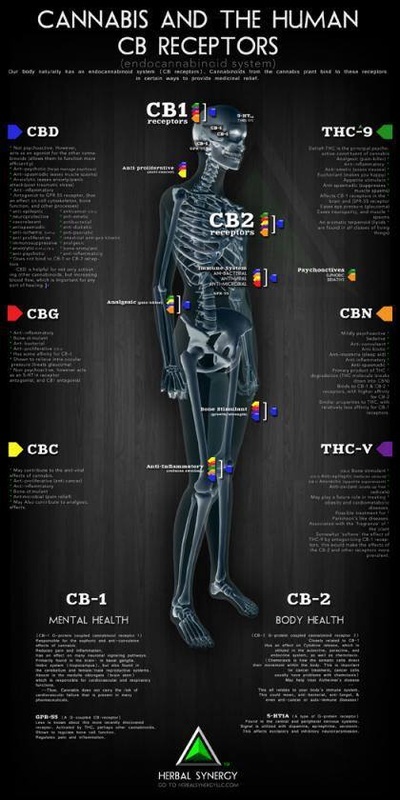 This is one of many molecular pathways through which CBD exerts an anti-cancer effect. Two veterinarians and an MIT-trained entrepreneur have launched what they say is the first legal, over-the-counter cannabis medicine for pets. 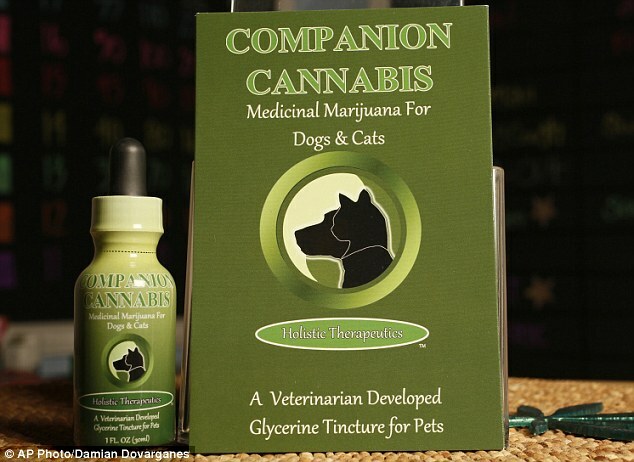 It’s made from CBD, and won’t get your pets high.Canna-Pet supplements are the product of seventeen years of research and development, including five years of clinical trials, according to a press release from Monday. Dan Goldfarb, one of the founders of the company behind Canna-Pet, CannaSalus LLC, explained the need for a cannabis-based pet supplement. 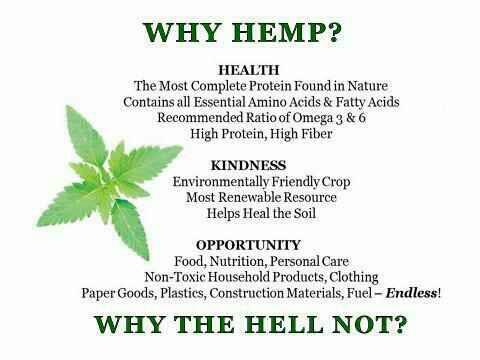 Apparently it’s legal in the U.S. since the CBD comes from industrial hemp. 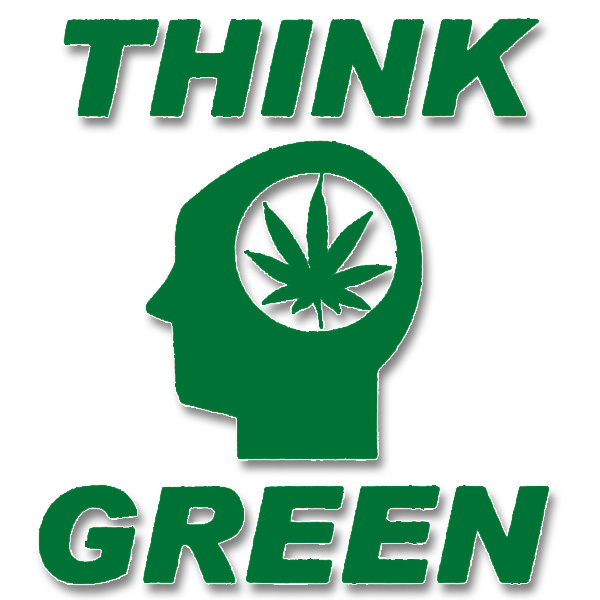 That also means it’s free of THC – the compound in cannabis responsible for the high. The company claims that the supplements have “zero negative side-effects” and that just a “tiny” dose will bring noticeable results in less than a week. Clinical trials show benefits in treating pets with cancer, arthritis, diabetes, digestive issues, chronic pain, nausea, and those receiving palliative care. 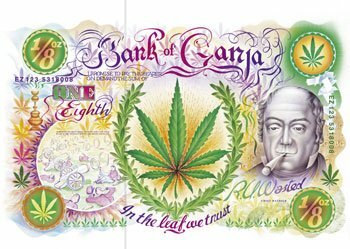 The company also says that Canna-Pet can be given over the long-term as an overall wellness supplement – reducing aggression, anxiety and obesity as well as prolonging life. 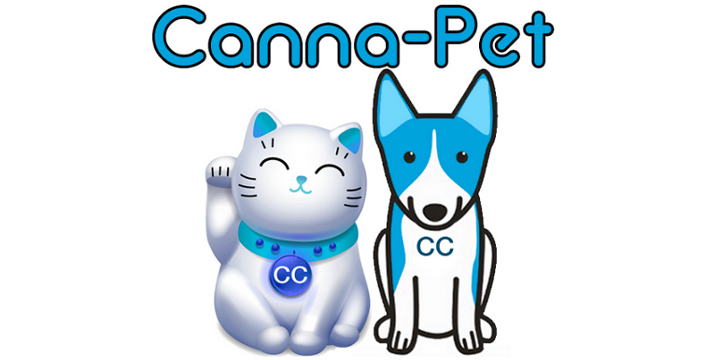 Canna-Pet comes in a variety of sizes for different pets, ranging from cats and dogs to rabbits and guinea pigs. Medical Marijuana For PetsWhile Canna-Pet may not be considered “medical marijuana” under U.S. law, there’s no doubt about its similarity to cannabis products that contain THC. 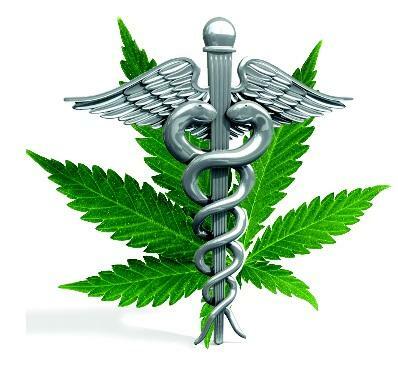 Interestingly, medical marijuana has recently caught the attention of veterinarians and pet owners as well. In Canada, Dr. Katherine Kramer of the Vancouver Animal Wellness Hospital reports being asked several times a week about medical marijuana as a treatment option for pets. While she can’t officially recommend the drug due to the lack of veterinary guidelines, Dr. Kramer told The Province that she makes sure to keep pet owners informed about how to administer the drug safely. Despite the tendency of pet owners to give their pets too high of a dose, Dr. Kramer says she’s seen the benefits first-hand and hopes that medical marijuana will eventually be recognized as a viable treatment option. Most of Dr. Kramer’s experience involves pets suffering from pain. Although pain medications for pets are less common and more expensive compared to those for humans, many veterinarians still fear public and professional consequences for supporting medical marijuana as an alternative. My name is Michel Degens, I’m 38 years old and I live in Belgium. 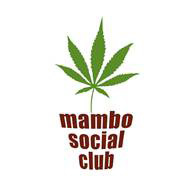 In April 2013, I founded the second Cannabis Social Club of Belgium, the Mambo Social Club. We are a club that grows cannabis for the personal use of their members; we do this in compliance with Belgian law. 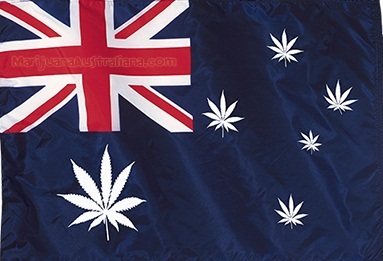 The keystone of our work is a Ministerial Guideline written in 2005 that states that every adult can possess three grams of cannabis or one cannabis plant if this happens without disturbance to others (no minors, no selling, not in public etc.,). 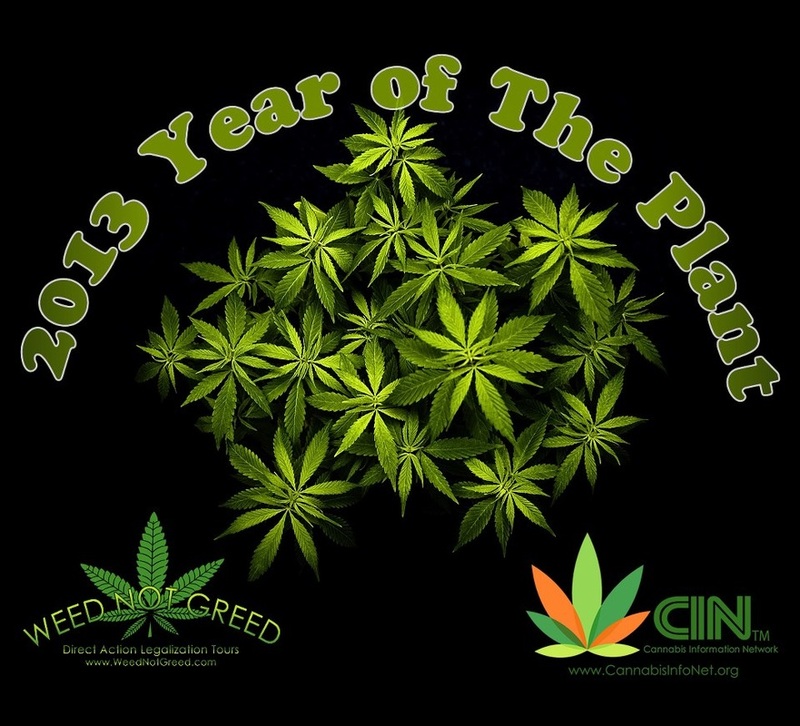 If you get caught with the maximum three grams of cannabis or one cannabis plant, the police officer can write down your name and make a simplified complaint( nothing will come of this, it won’t even be mentioned in the statistics), and you can keep the cannabis and / or plant in your possession. 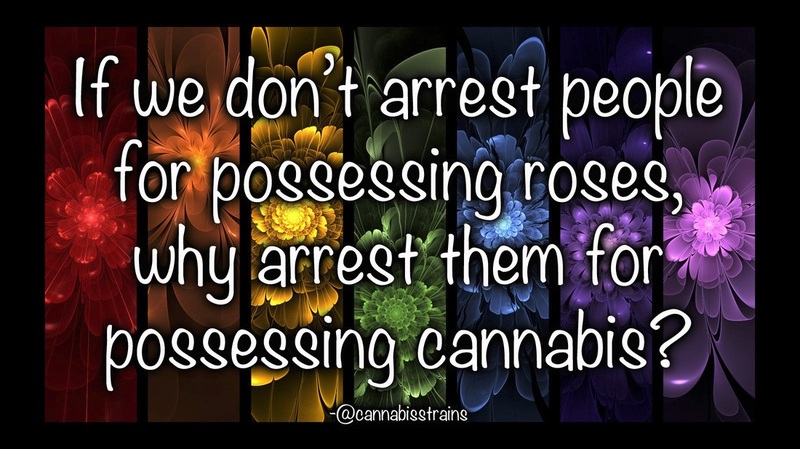 The police do not have the right to take it from you, if you are abiding the rules and keeping to the three grams or one plant in possession. So this is the keystone of our existence, the ministerial guideline of 2005. I never had dreamed that I should have to go to all the trouble of founding a Cannabis Social Club to be able to smoke my joint. In fact ever since I can remember people from my town, Hasselt would jump in their car for a twenty minute drive to the city of Maastricht in The Netherlands to buy their weed in one of the coffee shops in town. Life was easy in Belgium, being so close to the Dutch border. This is how I did it twenty years ago and how everybody else did it for almost thirty years. This is how it has always been ever since I can remember, in Hasselt weed always was just a twenty min drive away from the Maastricht coffeeshops. I was lucky enough to get a job in one of the coffee shops in Maastricht and I was a very happy coffeeshop employee during five years of my life. I worked in a relaxed atmosphere and there was always something nice to smoke around. Licensed coffeeshops in Maastricht are being forced to close down and hand the supply of cannabis to illegal street dealers. 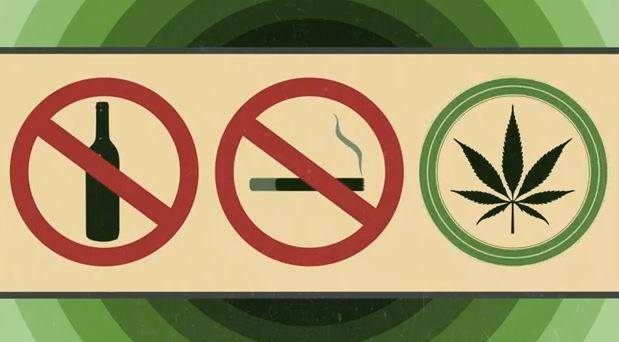 All this changed with the new laws that where effective from May 1st 2012, when it was no longer possible for foreigners to buy cannabis in parts of The Netherlands and for Dutch people to buy cannabis without registration. As a result of these new laws the coffeeshops lost their customers to the illegal market and home dealers. The coffee shops lost their clients and the employees lost their jobs. The black market is thriving like never before in Maastricht at this moment. 400+ ex-coffee shop employees are sitting at home and not are paying taxes on their earnings anymore, while dealers are taking over the streets and try to sell anything to anybody. So on may 1st 2012 the unimaginable happened to me, after twenty years, the people of Belgium where no longer welcome in Maastricht. I lost my job and I lost my weed that day. The dream was threatening to turn into a nightmare. I needed my social lubricant, my medicine, my mistress. 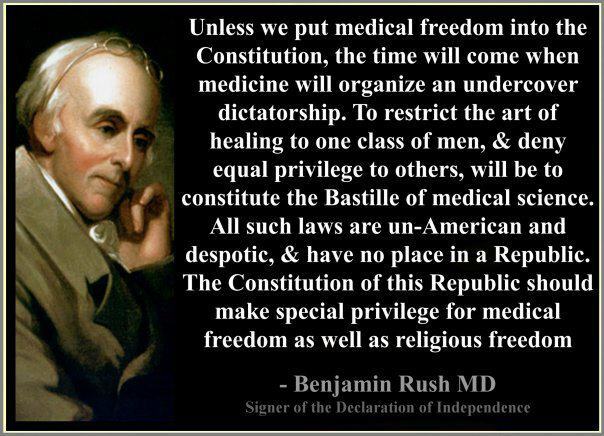 I do have a medical subscription for almost 20 years and I have always followed the doctor’s guidelines happily ever since. The coffee shop has always been a reliable supply for me to get my medicine, especially when you are working in one. 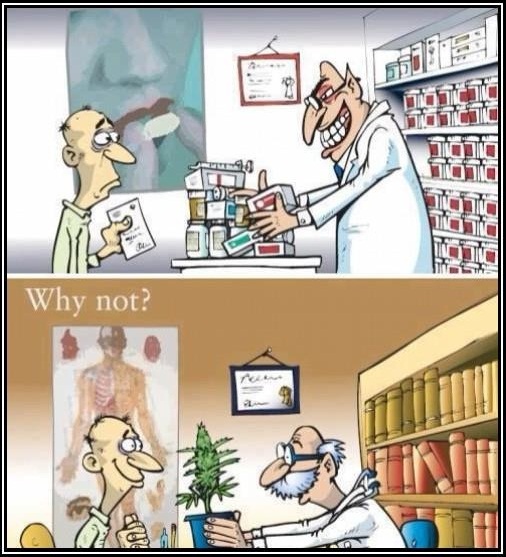 The cannabis is cheaper than in the pharmacy and works just as well or even better and you don’t need to get a doctor’s prescription every time you need some. 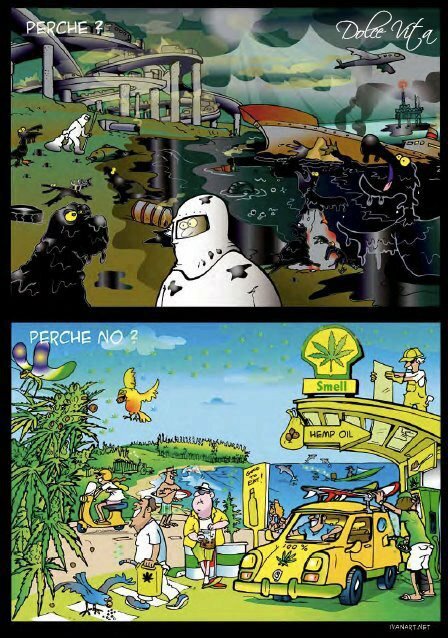 I had heard and read of a cannabis social club in Belgium called Trekt Uw Plant. They were growing cannabis for their members while abiding the Belgian law. I knew what they did (growing one plant for each member) and I had been following them passively for a few years in the media and on the Internet. 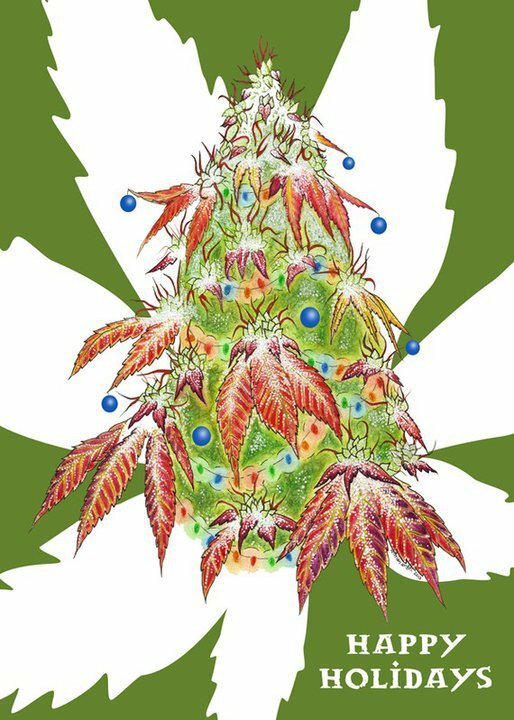 Now, being a employee of a Dutch coffee shop there was never any need to cultivate a single cannabis plant for your personal use, I had always lived where there was an abundance of cannabis available, so I didn’t do much more than follow them a bit on the computer…. But after may 1st (I call it P-Day from prohibition) … all that changed; I had to come up with something else to get to my medicine. I have never had broken any rule anywhere in regards to selling/buying drugs and I was not planning to do so now. I have never bought cannabis in the street or with home dealers; I’de always bought my cannabis in the secure confinements of a licensed coffeeshop. 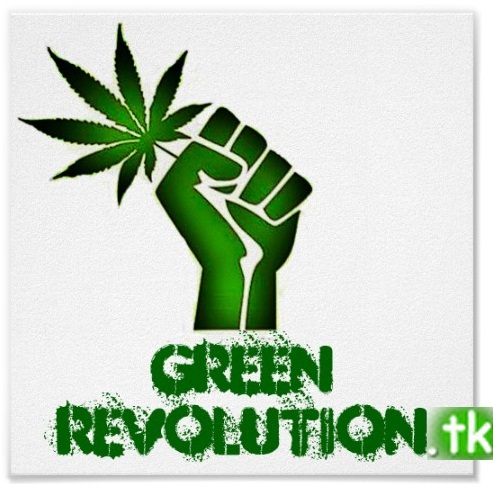 It’s needless to say that the cannabis social club system that Trekt Uw Plant had worked out looked very appealing and interesting when there is no resource for hassle free cannabis. One plant is a lot better than no plant at all, and I was very happy with the possibility to have my own plant grown collectively with others in a collective growroom. I got in touch with them and became a member of the club. A bit later my first own plant was harvested and collected at the club. This was a revelation to me. 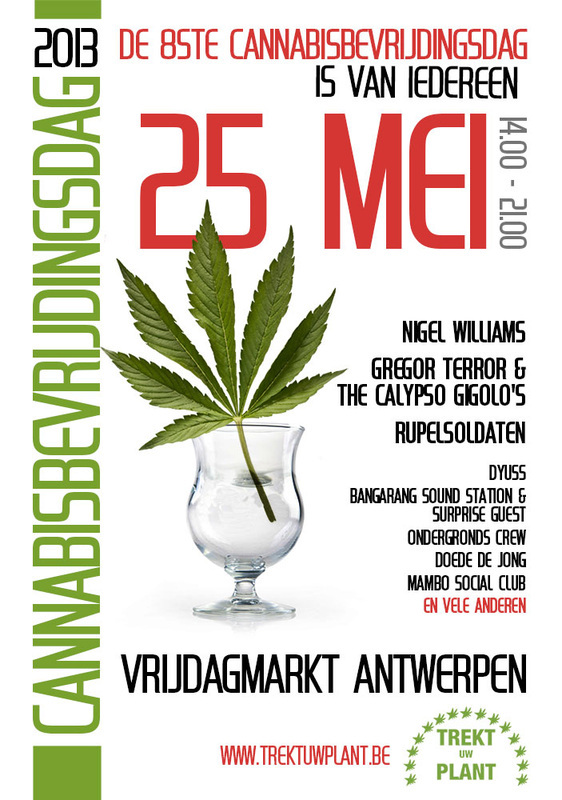 I found myself standing in Antwerp, in my own country, holding a bag of Amnesia Haze, that was legally mine, from a better quality than I knew from the coffeeshop I worked in, for less than half the price I paid in the coffee shop, sure to be 100% organically grown, paid by bank transfer, and accompanied with information about the product, printed on a nice paper and smelling great and looking awesome… I was godsmacked, I could not believe what was happening, but it was real for sure… I was holding my bag honestly priced top grade Amnesia in my hands, from my own plant that had my name and passport copy attached to it. I was so proud, happy and relieved. I never had dreamt my country had come that far, it was such a relief this experience. 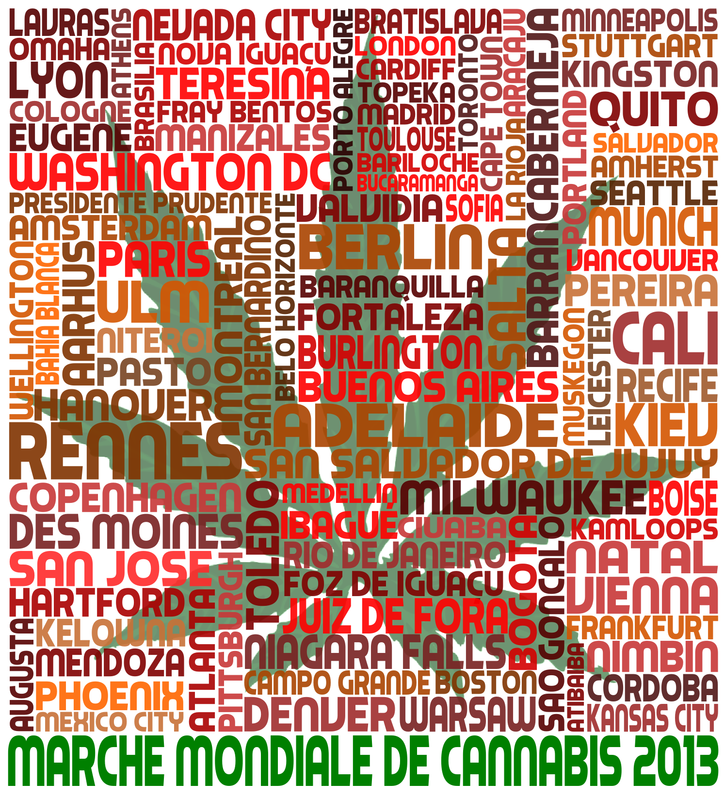 That was the day I found again my love for the cannabis plant and for my country. In my hands I had the proof that life in Belgium now was better than in the Netherlands. I was so proud. From that moment on I really believed in the cannabis social club model. I got in touch with the board of the club and I founded a regional division of the club in the town where I live. We started out as a regional division of Trekt Uw Plant in may 2012 with 10 members. 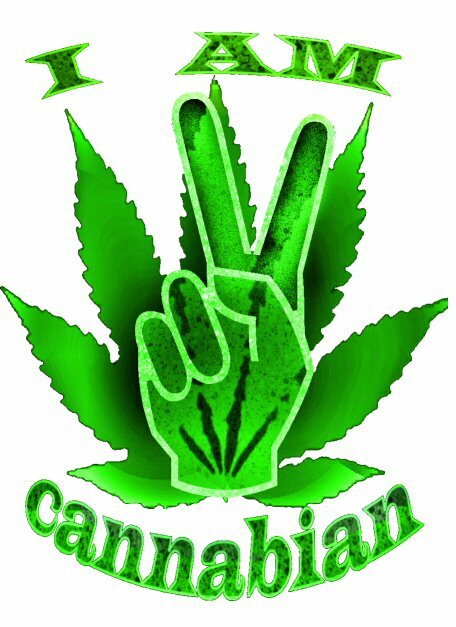 Everybody involved worked voluntarily in our division and after almost a year we had saved a small budget, but sufficient to pay for the foundation of an independent cannabis social club. The Mambo Social Club was founded in April 2013 and is named after my dog Mambo. Mambo is my best friend ever and is my Yorkshire Terrier- Shitzu mix breed, he’s always happy to see me and I love him very much. Doggies don’t get to the same age humans do and in this way I can honour his friendship long after he will be gone. The name Mambo symbolizes love and loyalty and fun and friendship for me, this was a good name for a social club I thought, and you must admit, it has a cool sounding to it … The Mambo Social Club. The one and only reason for the creation of the Mambo Social Club was the fact that I’d like to have some good cannabis available for my personal use without breaking the law and getting in contact with dealers and other people I’d rather like to avoid. Les autorités de l’Uruguay veulent mettre en place une nouvelle stratégie pour combattre les trafiquants de drogue. Si le Sénat valide leur proposition, l’État pourrait autoriser dès 2014 la vente du cannabis à 0,75 euro le gramme. Le texte proposé par le gouvernement prévoit trois moyens encadrés de se procurer le produit. L’autoculture d’abord avec six plants maximum par consommateur, la culture dans les clubs de membres avec un maximum de 45 personnes pour 99 plants et enfin la vente en pharmacie pour 40 grammes maximum chaque mois. Les cultivateurs et consommateurs devront s’inscrire sur un registre national. L’exécutif travaillerait déjà aux règles d’application alors que la vente ne devrait être autorisée qu’aux personnes majeures résidant en Uruguay. Les peines encourues pour la production illégale seront durcies. Les parlementaires ont déjà approuvé le projet de loi le 31 juillet dernier. Si le Sénat l’approuve à son tour, l’Uruguay deviendra le premier pays du monde où l’État contrôlerait la production et la vente du cannabis. Pour déterminer le prix de vente, les autorités se sont basées sur celui du cannabis vendu dans la rue. Il y est vendu « autour d’un dollar (0,75 euro) le gramme : ainsi, nous allons mettre la marijuana produite sous contrôle de l’État environ au même prix. [...] Le marché illégal est très risqué et de mauvaise qualité, (c’est pourquoi l’État) va offrir un lieu sûr pour acheter un produit de bonne qualité, et en plus, il va le vendre au même prix » a expliqué Julio Calzada secrétaire général du Bureau national des drogues (JND). Cette décision devrait inciter les consommateurs à abandonner les filières illégales pour se tourner vers la vente légale du cannabis. Luis Gallo, un sénateur de la majorité a indiqué que le projet de loi pourrait être approuvé dans les prochains jours, le vote devant intervenir début novembre. L’Uruguay compterait 120 000 (JDN) à 200 000 (associations) consommateurs sur ces 3,3 millions d’habitants. Cette loi pourrait rapporter entre 30 et 40 millions de dollars par an à ce petit pays d’Amérique du Sud. La somme serait ensuite réinvestie dans la lutte contre l’addiction des drogues. « C’est une expérience. 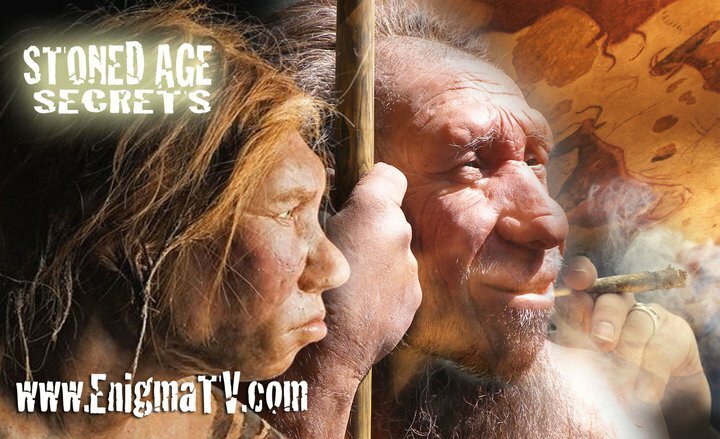 Naturellement, comme pour toute expérience, il y a un risque et nous devons avoir l’intelligence de dire que si elle nous dépasse, nous enclencherons la marche arrière. Nous ne devons pas nous braquer » avait déclaré en août le président Mujica. In late 2000, when undercover narcotics Trooper Ed Toatley was killed in an ambush by a drug dealer, I had no idea that this tragedy would be a turning point in my life. Toatley and I had worked narcotics for the Maryland State Police and, at the time, I was in the 24th year of my 33-year law enforcement career. Toatley was a great narcotics cop and a true friend. My grief and anger over his death stirred my own long-held but unspoken doubts about the war on drugs. When my friend died enforcing our drug laws, I finally began to confront the hard truth I had been pushing away until that point. As I have come to learn, many law enforcement people, then and now, have the same question: Do our hard-fought efforts do any lasting good against drug use and trafficking? The answer to that question, sadly, is no. Drug use rates remain virtually unchanged since the start of the war on drugs 40 years ago. But what’s even worse than our drug policies’ ineffectiveness is that the laws actually create additional harms – to police and to citizens, to drug users and nonusers alike. Just think of the violence being inflicted on our cities by the thugs who control the currently illegal market for drugs, and the kids and other innocent people getting caught in the crossfire of warring dealers. That’s why I decided to become active in the fight to end drug prohibition and to enact new policies that actually control drugs and stop the stream of drug money to gangs and cartels. 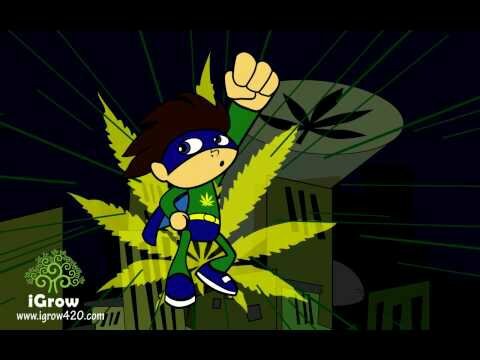 Since 2008 I’ve been part of an organization called Law Enforcement Against Prohibition, or LEAP. 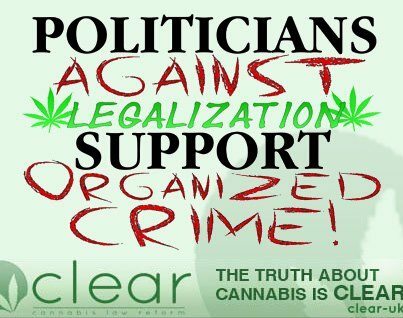 At first, you may be surprised that there is an organized group of criminal justice professionals working to end prohibition and legalize all drugs, but it makes perfect sense to me and the 30,000 other supporters of LEAP. And it’s not just law enforcers charged with enforcing these policies who are beginning to speak out about the need for change. The entire conversation about the issue has shifted over the last few years. Indeed, it seems that more and more prominent people across the political spectrum are beginning to publicly question the drug war. For example, California Governor Arnold Schwarzenegger has said, “It’s time for a debate,” suggesting that the U.S. should look to other countries that have modernized their drug policies. 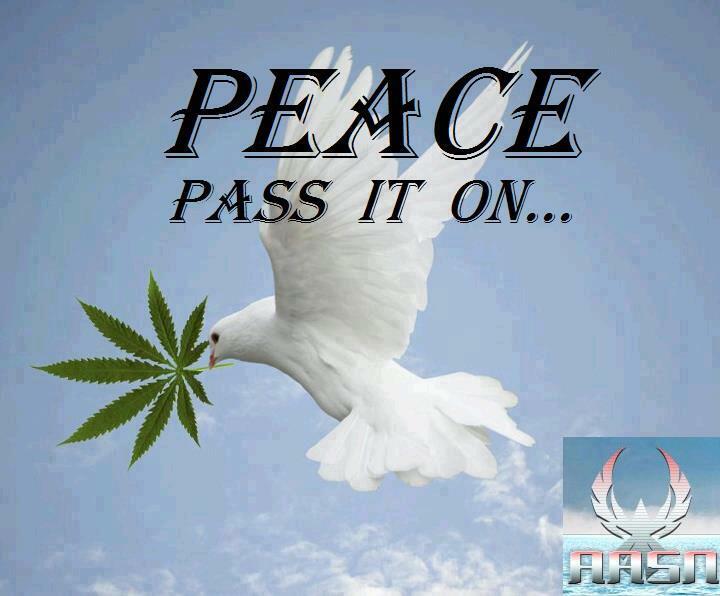 George Will, the conservative columnist, said that, “80 percent of the revenue of the Mexican cartels is marijuana. 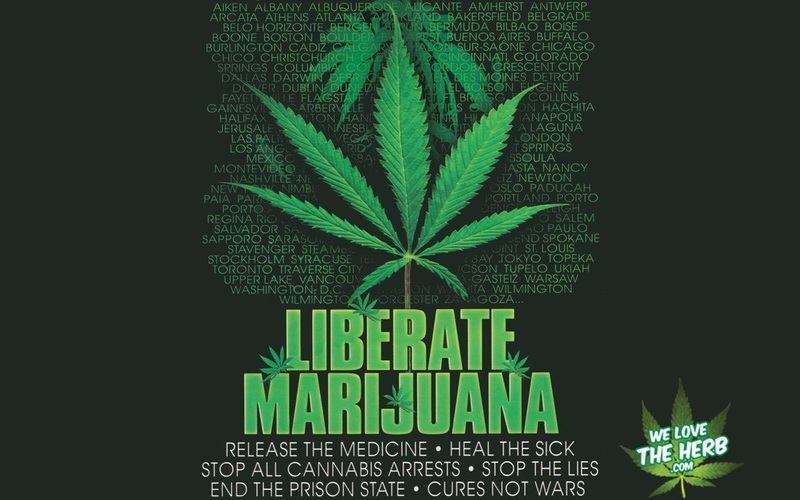 If you really want to go after the Mexican cartels … you’d legalize marijuana.” Fox News commentator Glenn Beck called for the end of marijuana prohibition, following in the footsteps of Republican icons Milton Friedman and George Schultz, who made similar calls decades ago. And on the left, pundits like Bill Maher and Arianna Huffington regularly call for changes to the drug laws. Even in Congress, Sen. Jim Webb of Virginia has said that legalization should be on the table for discussion by blue ribbon commission he wants to create to conduct a top-to-bottom review of the criminal justice system. There’s no question that more prominent people than ever before are beginning to question the war on drugs, an issue once considered a political third rail, and I think it’s thanks in no small part to the fact that front-line police officers are leading the way. Since being founded by just five cops in 2002, LEAP has grown rapidly and we now count among our ranks active duty and retired police officers, judges, prosecutors, prison wardens, DEA and FBI agents, U.S. marshals, and others. We have members in every U.S. state as well as in 80 countries. LEAP believes not only that the war on drugs has merely failed to achieve its stated objectives, but that it has actually made the drug problem much worse by squandering limited resources on harsh punishments while leaving treatment and prevention programs chronically underfunded. This reactive back-end approach has made law enforcers’ jobs harder. If our drug control strategy focused instead on proactive front-end strategies like preventing substance abuse and helping those who are addicted receive treatment, cops wouldn’t have to spend so much time – and put ourselves at risk – addressing crimes related to drug abuse. As an educational group, LEAP conveys its ideas in many ways. Our members have made more than 4,500 presentations to civic, professional, educational, and religious organizations, as well as at public forums. 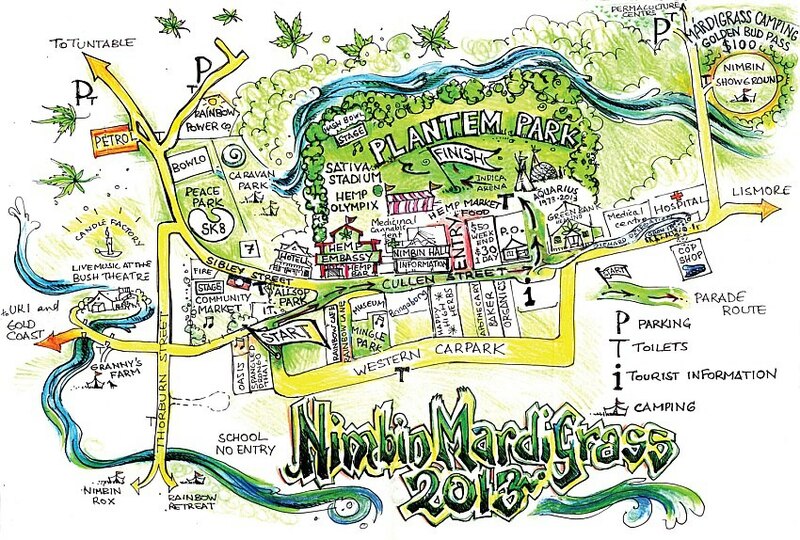 We speak to civic groups like the Chamber of Commerce, Rotary, Lions, and Kiwanis. We are featured in news outlets like The New York Times, Fox News, and National Public Radio. We put out studies, publish opinion piece, and we have a content-rich web site. Importantly, we like to remind people that our critique of the drug war is not about the freedom to get high. It is about improving public safety by implementing policies that will start to reverse decades of prohibition’s legacy – our nation awash in drugs and underground drug money, violent turf wars exploding into the streets, and treatment hard to find. By speaking out, our criminal justice professionals are helping to reframe public discourse about the drug war so that more people understand that everyone – not just drug users – has an interest in changing these laws. To that end, in the past year our members have been invited to testify before state legislatures, city councils, and even before a national Senate committee in Canada. Many states and hundreds of communities in the US have already put into place alternatives to the drug war, and others are moving in that direction. California is the venue for this year’s most closely watched challenge to drug prohibition. In November that state’s citizens will vote on a proposal to regulate and tax marijuana like alcohol. If passed, the initiative would strike a big blow against the drug cartels, which take in 50 to 60 percent of their profits from marijuana, according to the White House drug policy office. Instead of all that money going to thugs, the state’s tax collector estimates that regulation would send $1.4 billion per year into California’s tax coffers. Opposition to regulating marijuana will be fierce from some quarters, but supporters are well organized and are making a powerful case for change. Recent polls on the initiative show majority support, and LEAP is actively recruiting law enforcement support across the Golden State. With a deficit now projected at somewhere north of $20 billion, more than $1 billion in tax revenue will clearly help in California. 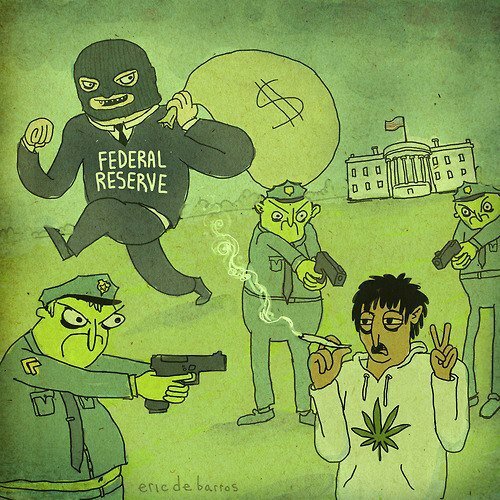 But, because of the public safety reasons for putting cartels and gangs out of business, the case for legalization and regulation is powerful no matter how the economy is doing. New ways of looking at the war on drugs are hardly limited to the US. Former Mexican President Vicente Fox now regularly talks about the need to seriously consider legalizing marijuana and regulating drugs to put a stop to the rampant cartel violence that is plaguing his country. Mexico has sadly become a nation in which prohibition’s horrific turf battles are reaching new heights, with more than 20,000 killed in the last three years. When Mexico announced in August 2009 that it was going to decriminalize drugs, it joined Portugal, the Netherlands, and Argentina in taking this path. In Portugal, which decriminalized all drugs in 2001, newly published research from the conservative Cato Institute shows that drug use by 13-to-15-year-olds has actually gone down by 25 percent, to the surprise of those who claim that reforming drug policies will lead to skyrocketing abuse, particularly by young people. Clearly, more and more people are beginning to realize that the drug war has become a self-perpetuating policy disaster with huge social and financial costs. Prohibition’s big winners are drug gangs and cartels, and the biggest losers are the rest of us. But make no mistake: Our harsh criticism of drug policies in no way denies the great work done and huge sacrifices made, every single day, by law enforcement officials for decades. The reason the drug war can never succeed is not because police just haven’t tried hard enough, but because the task is impossible. As history has shown over and over, no level of law enforcement skill, commitment, and resources can ever end activities that are very popular and obscenely profitable. 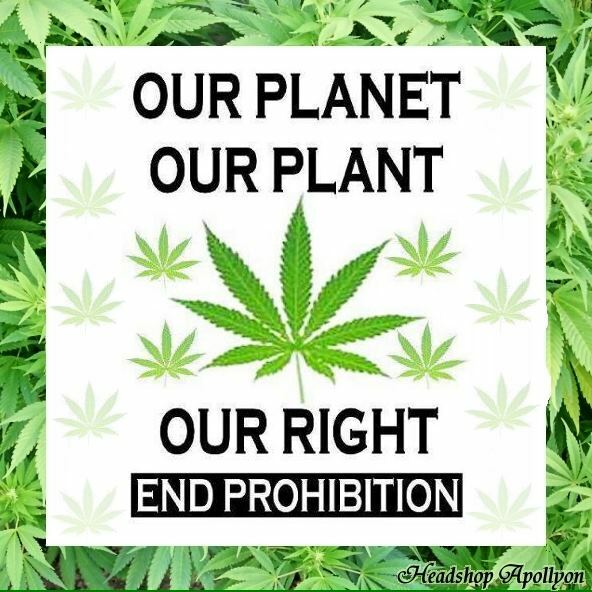 We want to end drug prohibition just as we ended alcohol prohibition in the United States in 1933 because as law-enforcement professionals we understand that ending alcohol prohibition put Al Capone and his liquor operations out of business. Those gangs stopped killing each other over market turf; they stopped killing cops who were asked to intervene; they stopped killing children who got caught in the cross-fire. 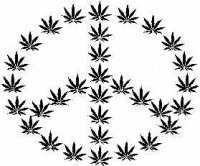 When we end drug prohibition, we will take the vast profits out of drugs and in so doing will remove violence from the equation. Think about it: How many people died last year in beer deals gone wrong? What’s more, ending prohibition will free up significant law enforcement resources to focus on violent crime and other genuine threats. Police know all too well that the percentage of solved murders in America has declined significantly in the last 40 years. When we treat drug abuse as a public health issue and not a crime problem, we can start to reclaim the millions of lives, mostly young people’s, that we are today sacrificing on the altar of this disastrous policy. A lot of people at LEAP have had the experience of introducing folks to these ideas – law enforcement people and others – and seeing their reactions. Those range from “You’re absolutely right” to “What are you guys … thinking?” I know there are people who wonder if LEAP might be some sort of radical group. We’re not. 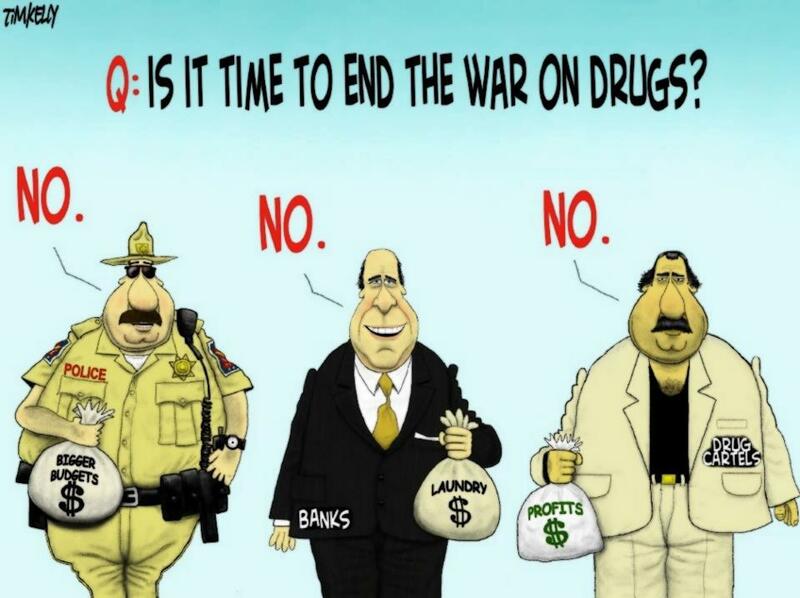 In fact, after 40 years, I believe it’s pretty radical to favor more of the same in the drug war. So I ask people to keep an open mind. Time and again, when people look at the evidence on the drug war that way, there’s one unavoidable conclusion: We have to change what we’re doing. Now, in my ideal world, it wouldn’t be this way at all. 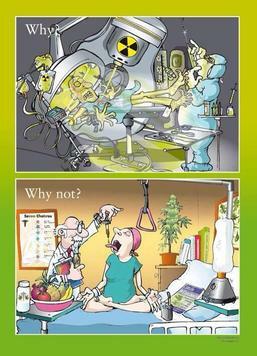 In that world no one would take drugs except for very clear medical reasons. But that’s a far cry from the real world. Drugs are here to stay. That means that our task as a society is to figure out how best to reduce the harm associated with their use and abuse as much as possible. 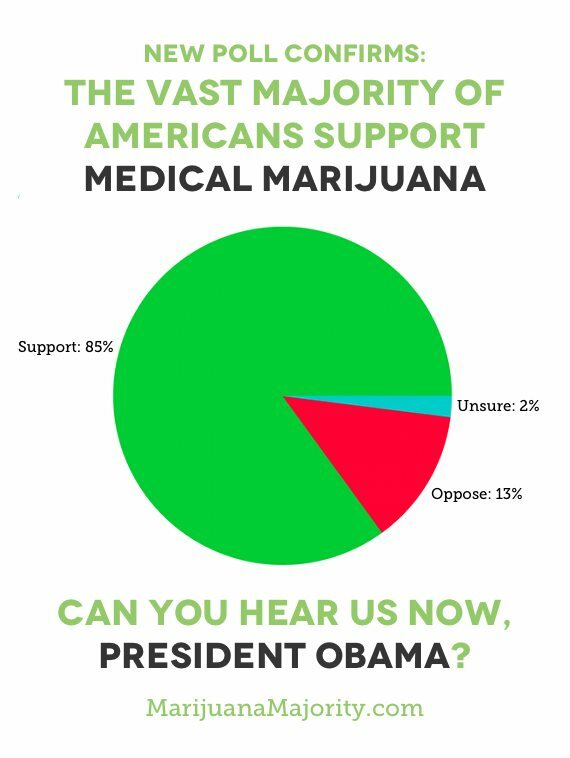 It’s clear that drug prohibition isn’t getting us where we want to be. 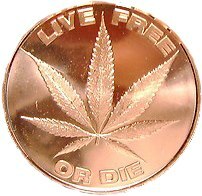 A system of legalized production, distribution, and use – linked with genuine and well-funded education, prevention, and treatment – will prevent thousands of needless deaths, help law enforcement do what it is supposed to do, keep our kids safer, and improve our financial picture. When the current phase of the drug war started, very few people could have predicted where we would stand in 2010. 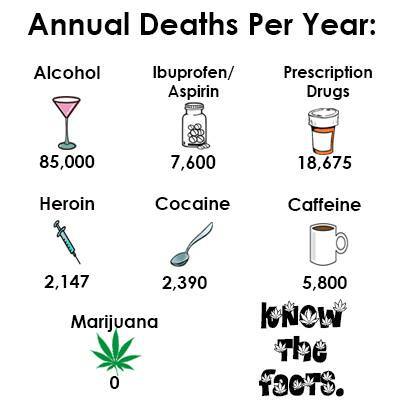 But today, after all the lives lost and shattered and the money we have spent, illegal drugs are cheaper, more potent, and much more available than they were when President Nixon launched the war on drugs in 1970. Meanwhile, people continue to die from overdoses, gun battles, and adulterated drugs, while drug barons and terrorists thrive. And good cops like my friend Ed Toatley are murdered. But for what? After 40 years, this is more than a failed public policy. It is unacceptable. 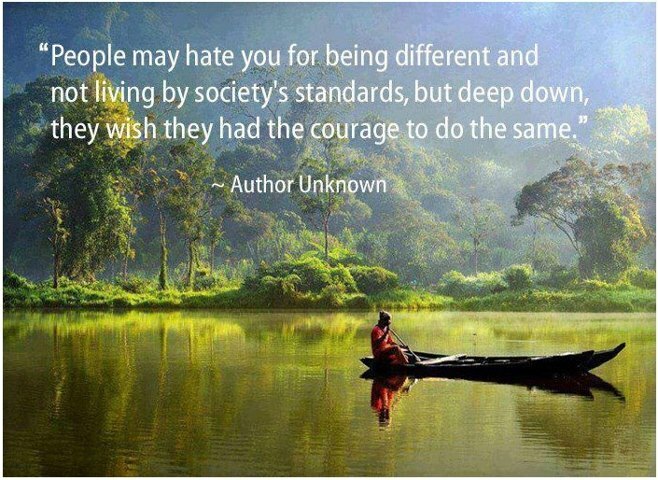 At LEAP we believe there is a much better way. Neill Franklin, executive director of Law Enforcement Against Prohibition (http://www.CopsSayLegalizeDrugs.com), is a 33-year police veteran, having served with the Maryland State Police and the Baltimore Police Department. > Most people don't think "cops" when they think about who supports marijuana legalization. Police are, after all, the ones cuffing stoners, and law enforcement groups have a long history of lobbying against marijuana policy reform. 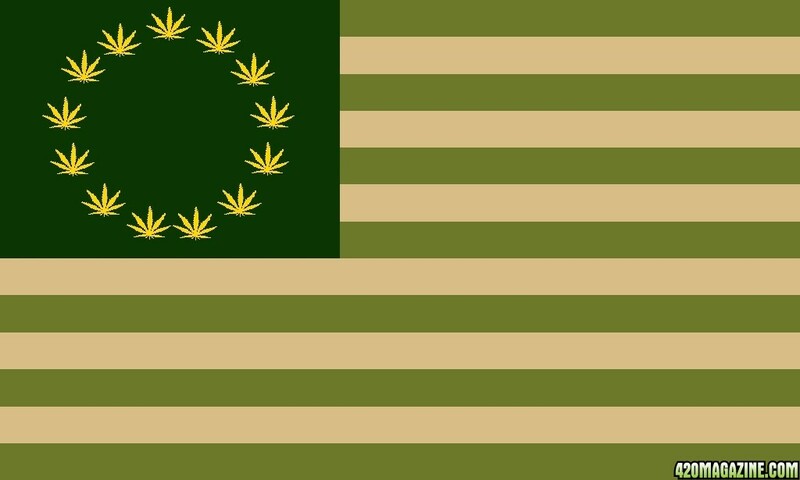 Many see this as a major factor in preventing the federal government from recognizing that a historic majority of Americans – 52 percent – favors legalizing weed. But the landscape is changing fast. Today, a growing number of cops are part of America's "marijuana majority." 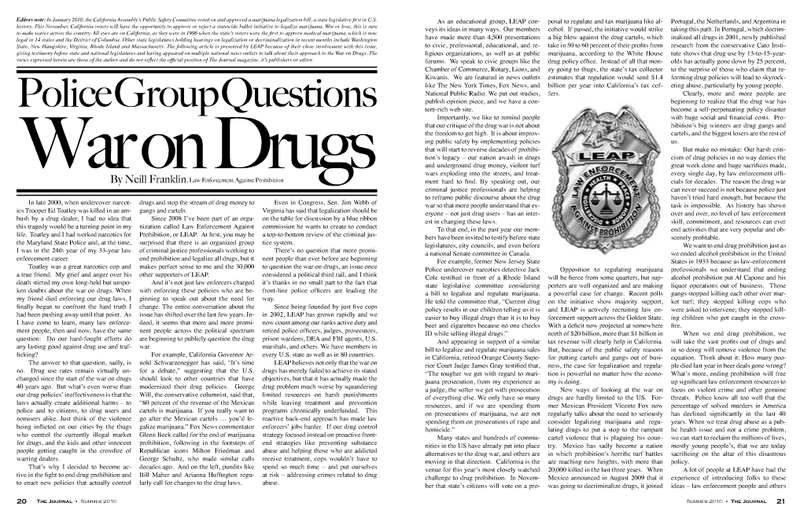 Members of the non-profit group Law Enforcement Against Prohibition (LEAP) say that loosening our pot policy wouldn't necessarily condone drug use, but control it, while helping cops to achieve their ultimate goal of increasing public safety. 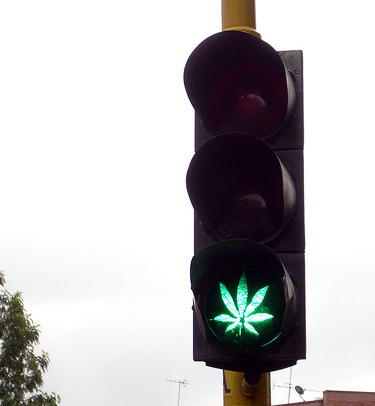 Here are the five biggest reasons why even cops are starting to say, "Legalize It!" 1. It's about public safety. While marijuana is a relatively harmless drug, the black market associated with it can cause significant harm. 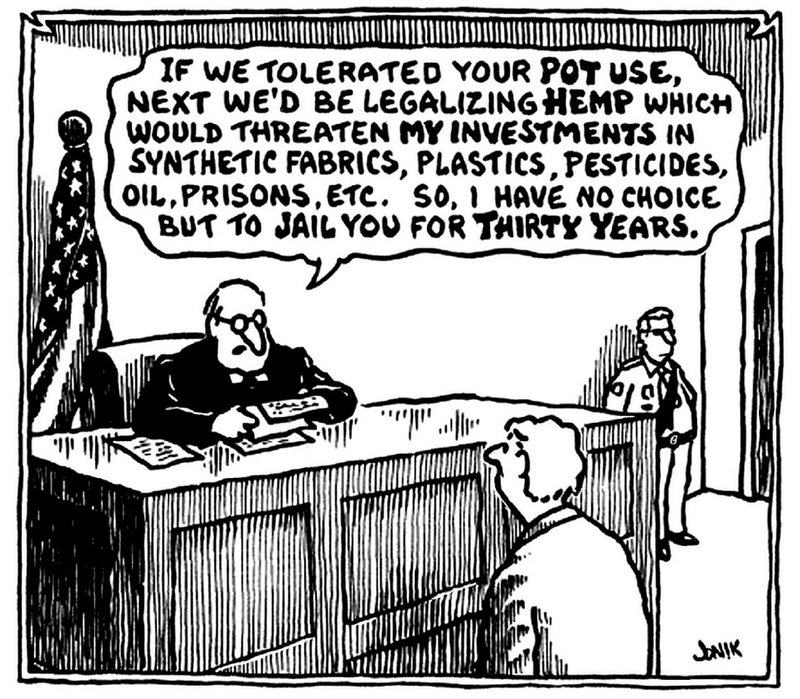 Much like the prohibition of alcohol, marijuana's illegality does not erase the profit incentive – instead, it establishes a risky, unregulated market in which violence and intimidation are used to settle disputes. "When we ended the prohibition of alcohol, Al Capone was out of work the next day," says Stephen Downing, Los Angeles' former Deputy Chief of Police. "Our drug policy is really anti-public safety and pro-cartel, pro-street gang, because it keeps them in business." "During my time on the border, I saw literally tons of marijuana come over the border from Mexico," says Jamie Haase, a former special agent in the Department of Homeland Security's Immigration and Customs Enforcement division. "Competition over the profits to be made from this illicit industry has led to the deaths of tens of thousands of individuals in that country, and an ever-increasing amount of violence spilling over into the United States, where the Justice Department estimates Mexican cartels now operate in more than 1,000 American cities." 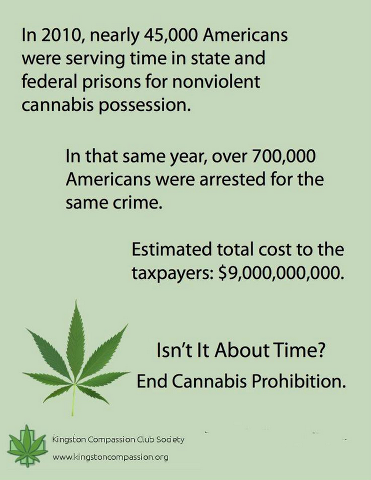 In the past decade, police made more than 7 million marijuana arrests, 88 percent of them for possession alone. In 2010, states spent $3.6 billion enforcing the war on pot, with blacks nearly four times as likely as whites to be arrested. That's a lot of police time and resources wasted, says former Seattle Chief of Police Norm Stamper, who had an "aha moment" about marijuana policy while working for the San Diego Police Department in the late 1960s. "I had arrested a 19-year-old in his parents' home for the possession of a very small quantity of marijuana, and put him in the backseat of a caged police car, after having kicked down his door," recalls Stamper. While driving the prisoner to jail, he says, "I realized, mainly, that I could have been doing real police work, but instead I'm going to be out of service for several hours impounding the weed, impounding him, and writing arrest, impound, and narcotics reports. I was away from the people I had been hired to serve and in no position to stop a reckless drunk driver swerving all over the road, or to respond to a burglary in progress, or intervene in domestic violence situation." 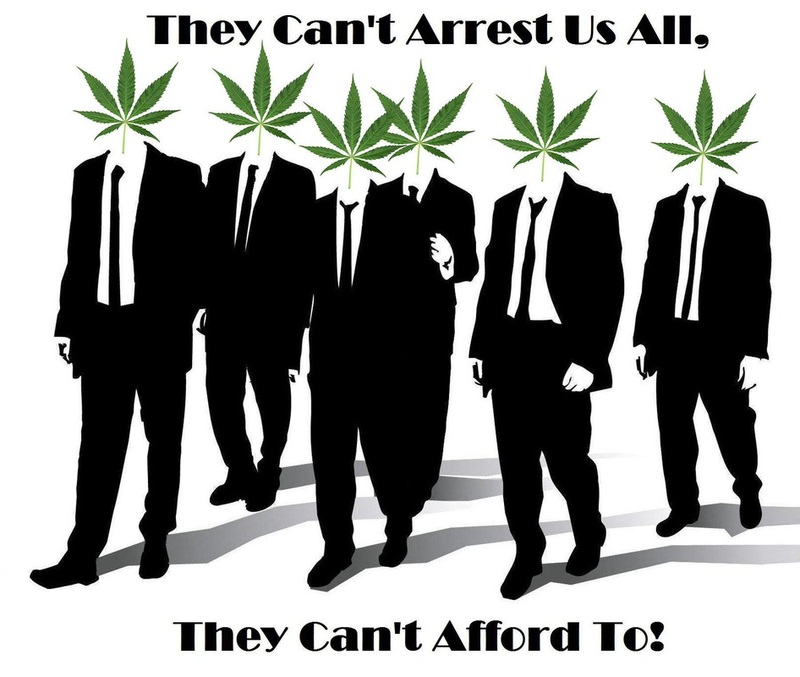 Cops have limited resources, and spending them on marijuana arrests will inevitably divert them from other policing. Adds Stamper, "In short, making a marijuana arrest for a simple possession case was no longer, for me, real police work." Baltimore narcotics veteran Neil Franklin says the prevalence of marijuana arrests, especially among communities of color, creates a "hostile environment" between police and the communities they serve. "Marijuana is the number one reason right now that police use to search people in this country," he says. "The odor of marijuana alone gives a police officers probable cause to search you, your person, your car, or your home." Legalizing pot, says Franklin, could lead to "hundreds of thousands of fewer negative police and citizen contacts across this country. That's a hell of an opportunity for law enforcement to rebuild some bridges in our communities – mainly our poor, black and Latino communities." Franklin adds that this would increase citizens' trust in police, making them more likely to communicate and help solve more serious crimes. Building mutual respect would also protect cops on the job. Adds Franklin, "Too many police officers are killed or injured serving the War on Drugs as opposed to protecting and serving their communities." Downing says that monetary incentives for drug arrests, like asset forfeiture and federal grants, encourage an attitude where police will make drug arrests by any means necessary, from militarized SWAT raids to paid informants who admit to lying. "The overall effect is that we are losing ground in terms of the traditional peace officer role of protecting public safety, and morphing our local police officers into federal drug warriors," Downing says. Quotas and pressure for officers to make drug arrests – which profit police departments via federal funding and asset forfeiture – also encourage routine violations of the Fourth Amendment ban on unreasonable searches and seizures. The NYPD, for example, stops and sometimes frisks well over 500,000 people a year, the vast majority of them youths of color – the basis for a pending federal lawsuit challenging the policy on constitutional grounds. While New York Mayor Michael Bloomberg has defended stop-and-frisk as a way to get guns off the street, in fact, it's more often used to arrest kids with small amounts of weed. Stamper adds that legalization would allow police officers "to see young adults not as criminals, but members of their community" – and start respecting those young people's civil liberties. 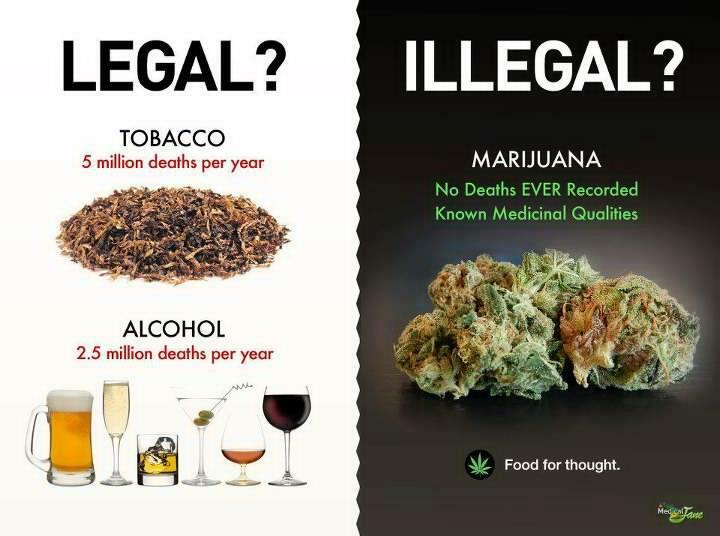 Marijuana's illegality has done very little to stop its use. A recent survey by the National Institutes of Health found that 36 percent of high school seniors had smoked marijuana in the past year. Legalization would most likely involve age restrictions on marijuana purchases, while at the same time providing quality control over product. "The only way we can effectively control drugs is to create a regulatory system for all of them," says Stamper. "If you are truly a proponent of public safety, if you truly want safer communities, then it's a no-brainer that we have to end drug prohibition and treat [marijuana] as a health issue, like we did with tobacco," says Franklin. "Education and treatment is the most effective and cost-efficient way to reduce drug use." On the other hand, adds Franklin, "If you support a current system of drug prohibition, then you support the very same thing that the cartel and neighborhood gangs support. You might as well be standing next to them, shaking hands. 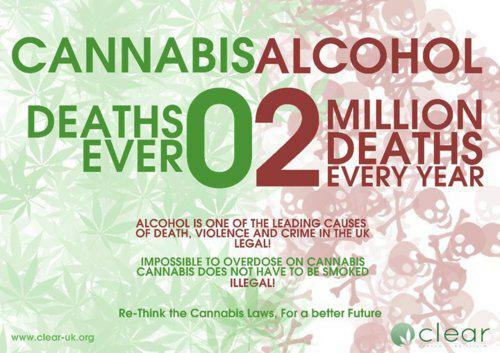 Because they don't want an end to prohibition, either." L’annonce risque de faire grand bruit, le pays européen parmi les plus répressifs en matière de cannabis dans le sous-continent Européen qu’est la France vient de légaliser l’usage du cannabis thérapeutique ! Il faudra cependant attendre la publication de l’exécution de ce décret pour pouvoir fêter cette avancée historique. Aujourd’hui Vendredi 7 Juin 2013 viens d’être publié le Décret n° 2013-473 du 5 juin 2013 modifiant – en ce qui concerne les spécialités pharmaceutiques – les dispositions de l’article R. 5132-86 du code de la santé publique relatives à l’interdiction d’opérations portant sur le cannabis ou ses dérivés. 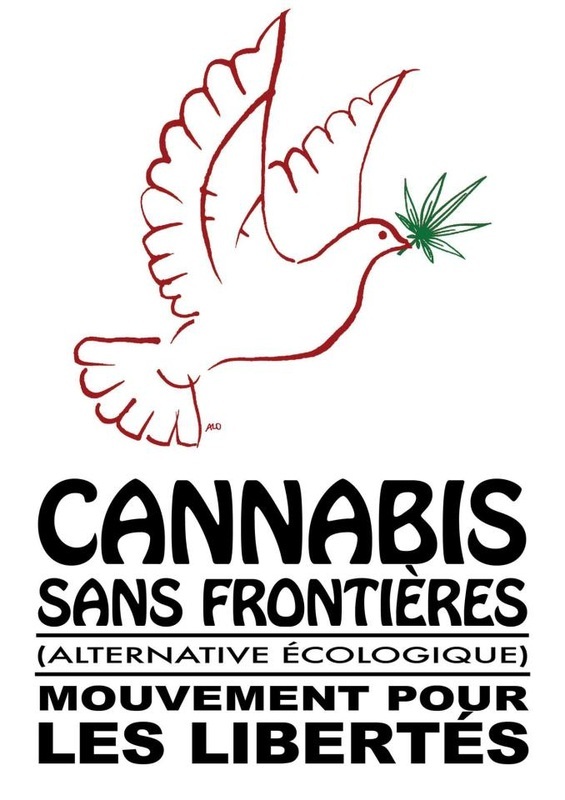 En bref, l’article R. 5132-86 relatif à la législation concernant le cannabis interdisait toute utilisation non industrielle du chanvre, n’ autorisant des dérogations pour la recherche et la production de dérivés autorisés qu’à travers le Directeur Général de l’Agence Nationale de Sécurité du Médicament et des Produits de Santé. 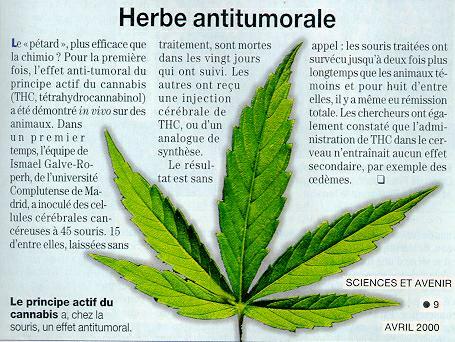 Le cannabis qui avait été retiré de la pharmacopée officielle en 1953 fait donc son retour remarqué 60 ans plus tard. La mise en application de la loi est donc laissée à la charge de la ministre des affaires sociales et de la santé Marisol Touraine qui publiera son exécution au Journal Officiel de la République française. Il est donc pour l’instant impossible de déterminer les conséquences de ce décret pour les patients Français qui pourraient profiter des avantages du cannabis thérapeutique. La vigilance s’impose néanmoins puisque la mention d’autorisation de mise sur le marché nécessaire afin de ne pas être en violation de la loi laisse à penser qu’il sera difficile pour les associations et les patients eux-mêmes de produire leur propre cannabis thérapeutique malgré les faibles coûts nécessaires à sa production. 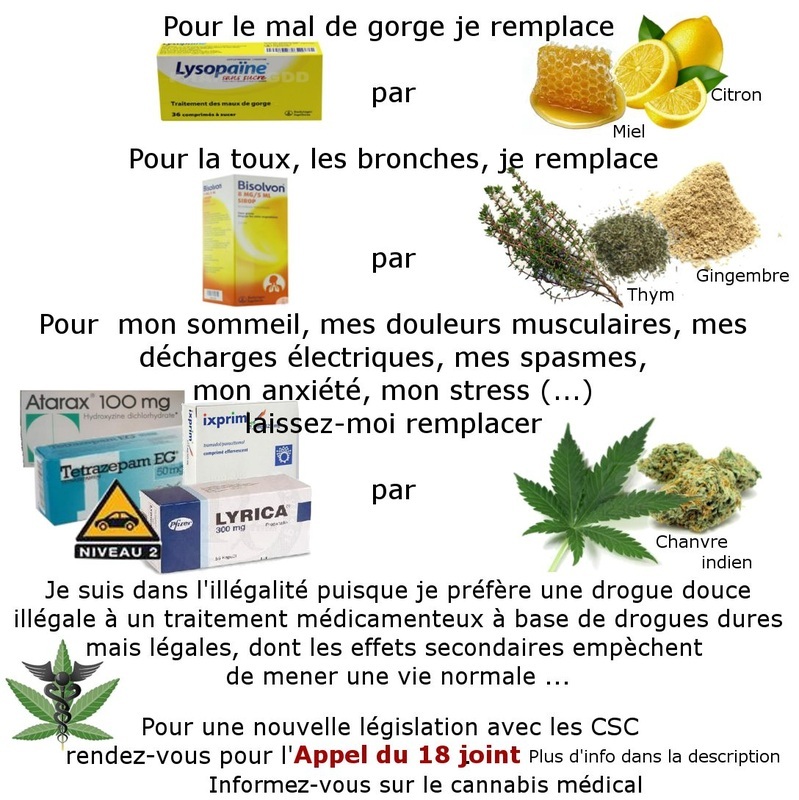 C’est avant tout une énorme avancée pour les malades en France qui utilisent déjà du cannabis pour soulager leurs maladies de voir leur médicament privilégié devenir enfin légal aux yeux du gouvernement. Sensi Seeds supporte depuis des années le développement du cannabis thérapeutique à travers le monde et cette nouvelle est considérée comme une victoire pour l’ensemble des militants qui supportent un changement législatif autour du cannabis. Un article plus détaillé viendra dès lors que l’exécution du décret aura été publiée officiellement pour mieux comprendre sa mise en application et son impact. 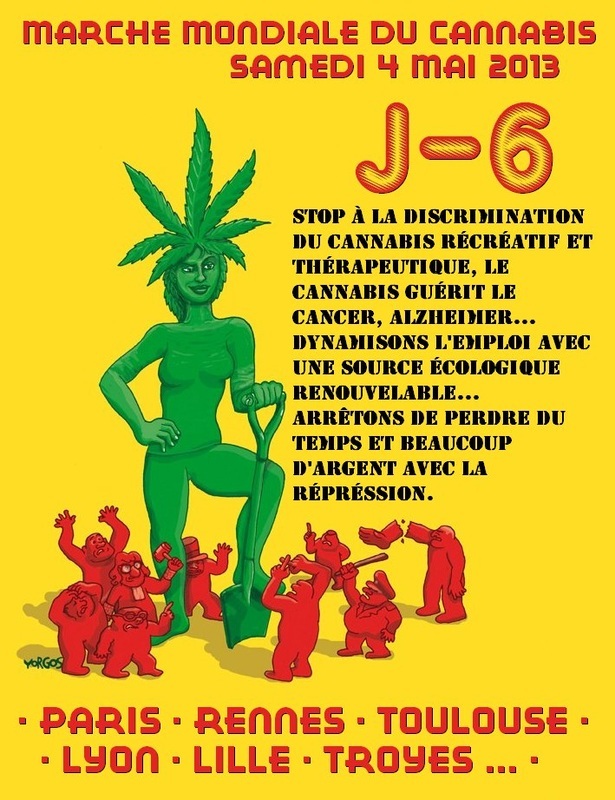 >Un décret, entré en vigueur samedi 8 juin, va permettre à l’Agence du médicament d’autoriser la mise sur le marché de produits contenant des dérivés du cannabis. Déjà autorisés dans plusieurs pays, ces médicaments peuvent être utilisés comme compléments à des traitements contre la douleur ou favoriser l’appétit chez des patients atteints de cancer ou du sida. 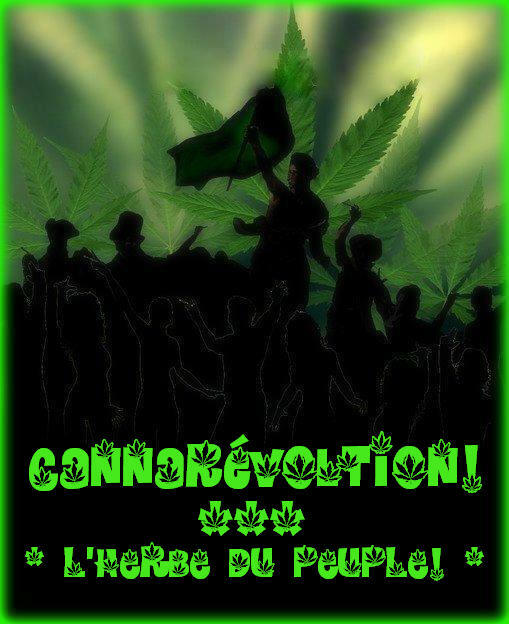 C’est un feu vert prudent à l’usage du « cannabis thérapeutique » que viennent de donner les autorités sanitaires françaises. Un décret, publié samedi 7 juin au Journal officiel et entré en vigueur le lendemain, va permettre l’autorisation de mise sur le marché (AMM) de médicaments contenant du cannabis. Ce décret modifie un article du code de santé publique qui interdisait l’emploi de dérivés du cannabis dans les produits de santé. La publication de ce décret va donc permettre à l’Agence nationale de sécurité du médicament (ANSM) de délivrer des AMM à ce type de produits. La parution de ce texte n’est pas une surprise. En mars dernier, la ministre de la santé, Marisol Touraine, s’était déclarée favorable à un réexamen de cet article du code de la santé publique. Le débat s’était alors posé à propos de l’autorisation, en France, d’un médicament, le Sativex, déjà utilisé dans plusieurs pays. 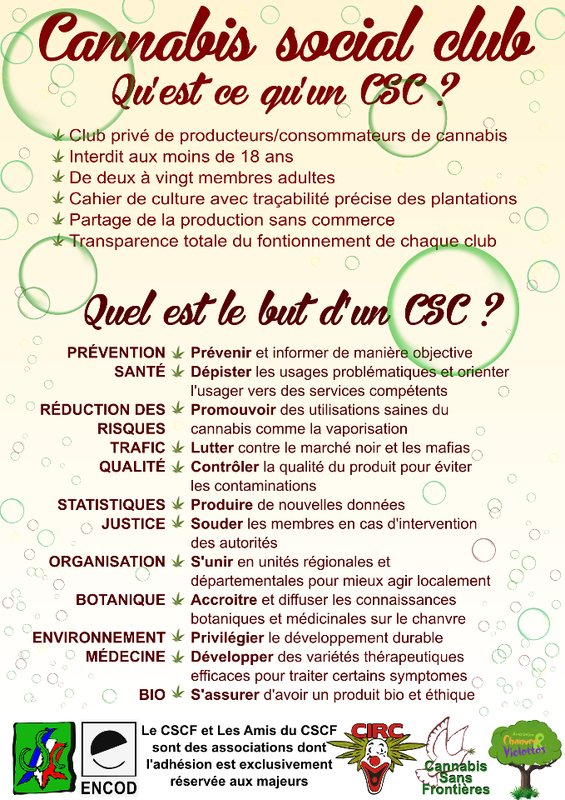 Ce spray buccal contient deux constituants du cannabis, le THC (tétra hydro cannabinol) et le cannabidiol (CBD). Au Canada, il est autorisé comme traitement analgésique d’appoint chez des adultes atteints de cancer avancé. Il peut aussi être prescrit pour soulager des douleurs neuropathiques dans la sclérose en plaques. En France, pour l’instant, un seul produit, dérivé du cannabis, peut être délivré à des patients, mais de manière très encadrée. 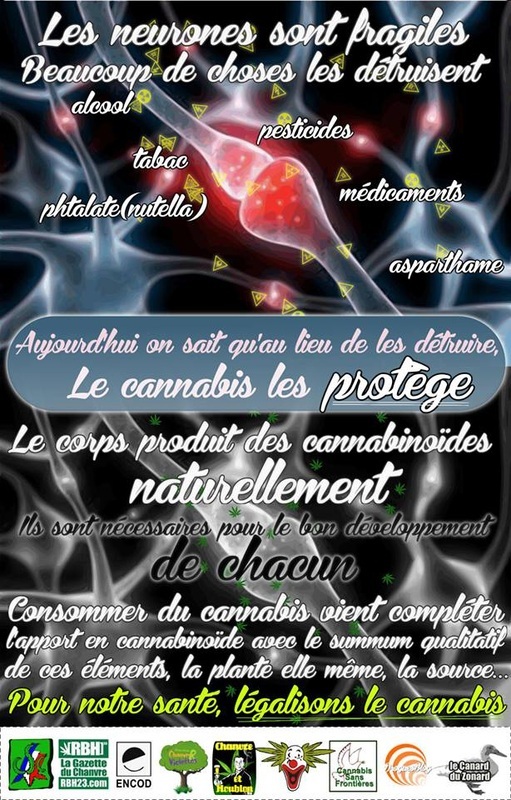 Il s’agit du Marinol, un produit contenant du THC de synthèse. Pour le prescrire, le médecin doit demander une autorisation temporaire d’utilisation (ATU) à l’ANSM. Une procédure complexe, qui décourage certains praticiens. Depuis 2001, l’ANSM a toutefois répondu favorablement à une centaine de demandes d’ATU pour le Marinol. Plusieurs pays ont déjà autorisé l’usage du cannabis thérapeutique, notamment l’Angleterre, l’Espagne, les Pays-Bas, le Canada ou certains États américains. La plupart du temps, les médicaments sont utilisés comme compléments à des traitements contre la douleur. Ils peuvent aussi favoriser l’appétit et une reprise de poids chez des patients atteints de cancer ou du sida. Ils peuvent enfin avoir un intérêt contre certains symptômes de la sclérose en plaques. En France, un débat oppose les médecins sur le sujet. 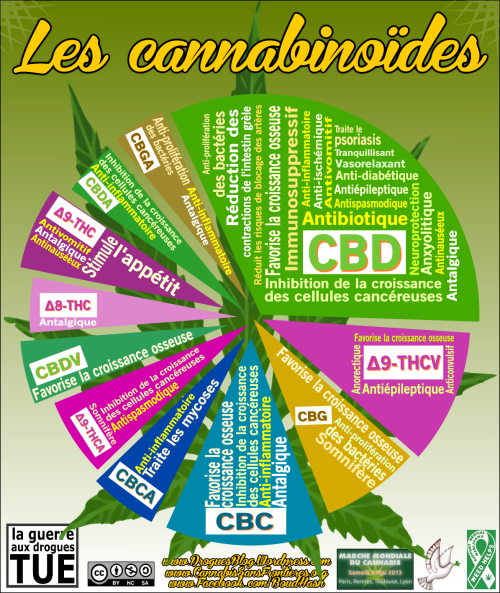 Certains se montrent hostiles à l’usage du cannabis médical, estimant qu’il existe d’autres médicaments susceptibles de traiter les pertes d’appétit ou les problèmes de douleurs. Surtout, ils craignent que cela ne soit une façon, à terme, d’arriver à la dépénalisation du cannabis. Tout en faisant valoir qu’il ne s’agit pas d’une solution miracle, d’autres médecins estiment que ces produits, à base de cannabis, constituent parfois une alternative intéressante pour des patients chez lesquels les médicaments classiques restent sans effet. effect on various cancers with the ID-1 gene has finally made it into the mainstream media. 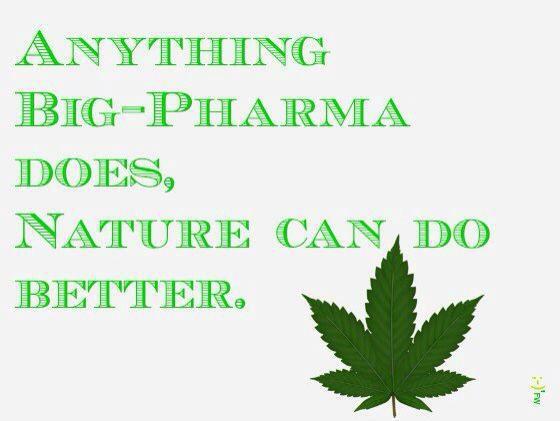 Medical studies on cannabis and other cannabinoids are coming out at an amazing pace! In the whole of 1992, there were only 123 studies on “cannabinoids” at PubMed. A mere six weeks into this year, there are already 195! Quite a difference for just a decade! 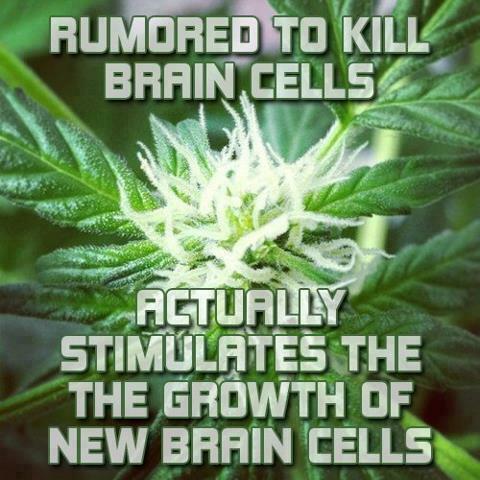 And those new studies are confirming the importance of the Omega3 / CB receptor connection, investigating the effects of gene mutations affecting the endocannabinoid system, aswell as delving into the mechanisms of exactly how cannabinoids heal us! Science is becoming aware of the almost unlimited potential of the endocannabinoid system for healing and the prevention of disease. 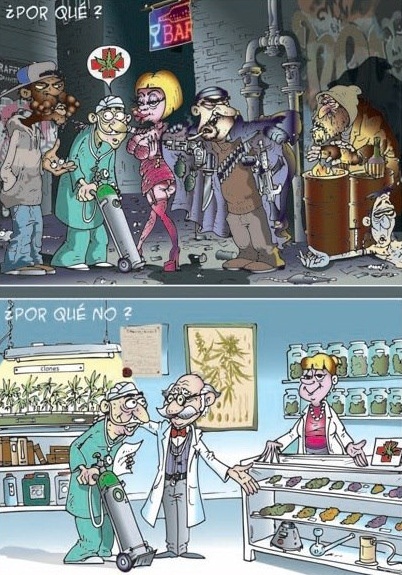 Yet, scientific research on cannabis is “discouraged” in the US, and, increasingly, I find that the new studies on cannabinoids are being done in Europe and China! 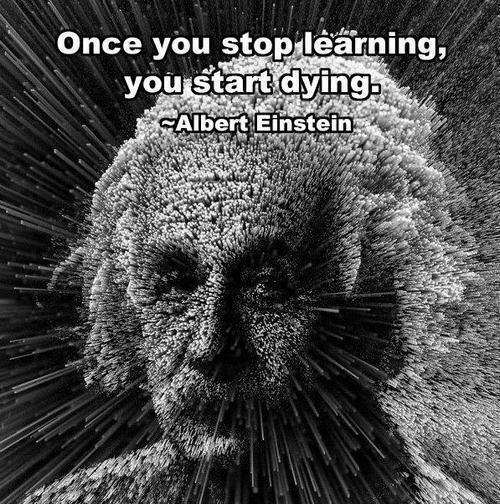 We are falling behind in this rapidly emerging field of medicine! 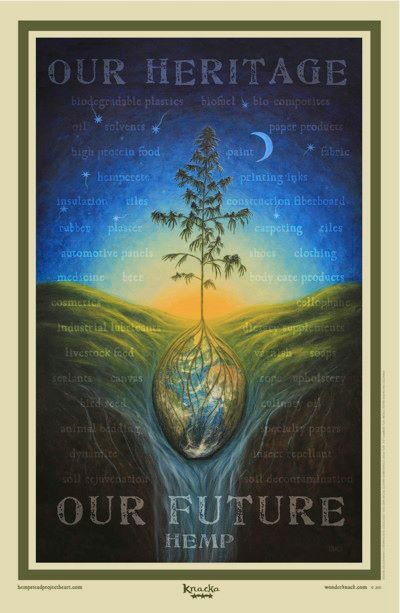 In Kentucky and other agricultural states, the question of “industrial hemp” is being brought up as a new crop for America. 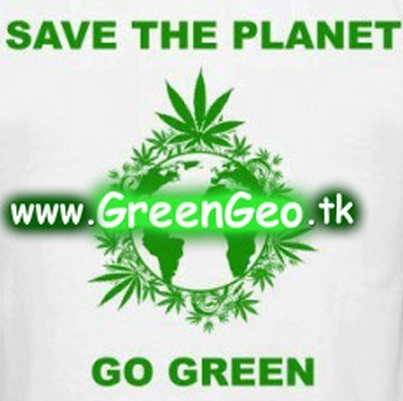 As it is, all hemp products must be imported from China,Korea, Canada and other foreign countries. 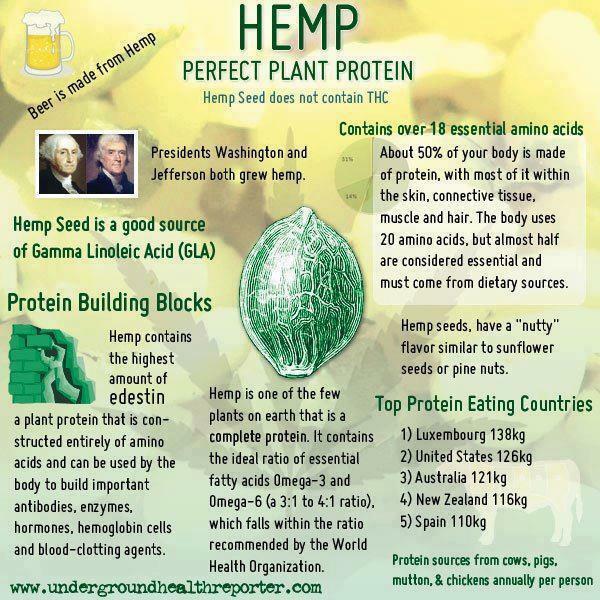 Hemp is a multi-purpose, pest-resistant crop that can grow anywhere from the equator to Siberia! The fiber can be made into paper, silk-like fabrics, rope, fiberboard, and 1000s of other products! The seed is a popular snack in many parts of the world and is extremely nutritious. 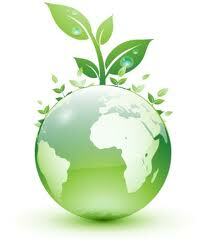 The seed oil can be used in foods and cosmetics, or made into biofuel to decrease our dependence on foreign oil! 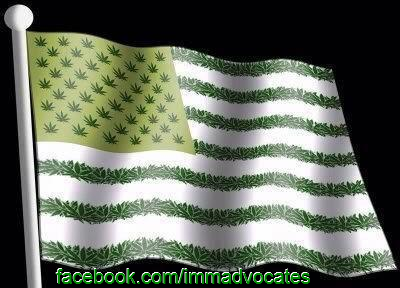 Legalization will cut our trade deficit! 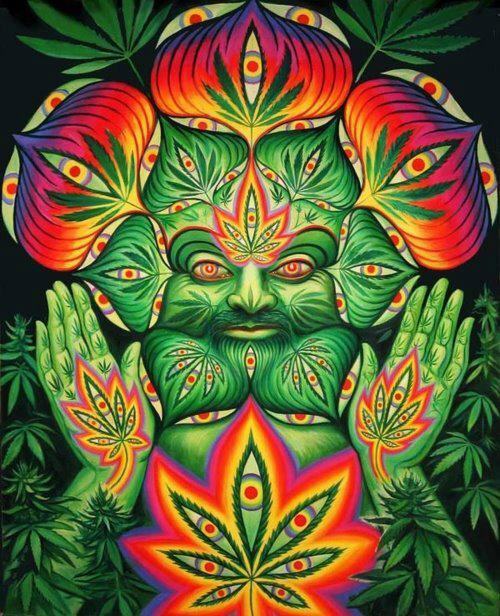 It is time to bury the ghosts of Harry Anslinger and his friends! They have haunted our lives long enough! In the name of “saving the children”, they have destroyed the lives of many of our brightest and most talented teens and young adults! Families have been torn apart! Parents are thrown in prison, while their children are dumped into foster homes… all paid for with your tax dollars! Innocent lives, like those of Kathyrn Johnston and Jose Guerena, have been lost in raids where no drugs were found! All of that pain, misery and death just to prevent your use of a healing herb in your cigarettes, rather than the poisonous, but government approved, tobacco! The cartels destroy the forests to supply the black market. Their product is often contaminated with pesticides, and may have absorbed poison from baits put out to kill deer andother wildlife. With legalization, we can grow our own superior home-grown cannabis and destroy the cartel’s black market and its violence, without firing a single shot. 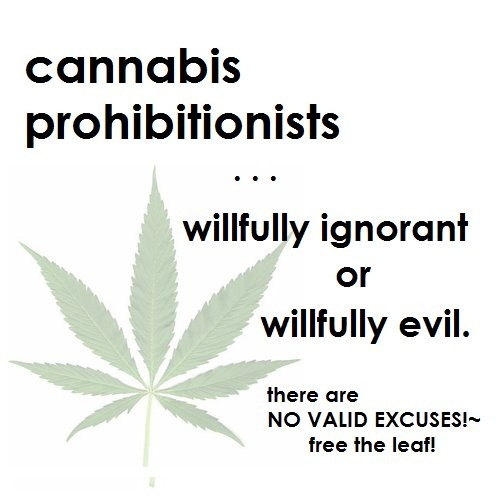 The madness of prohibition must be stopped! 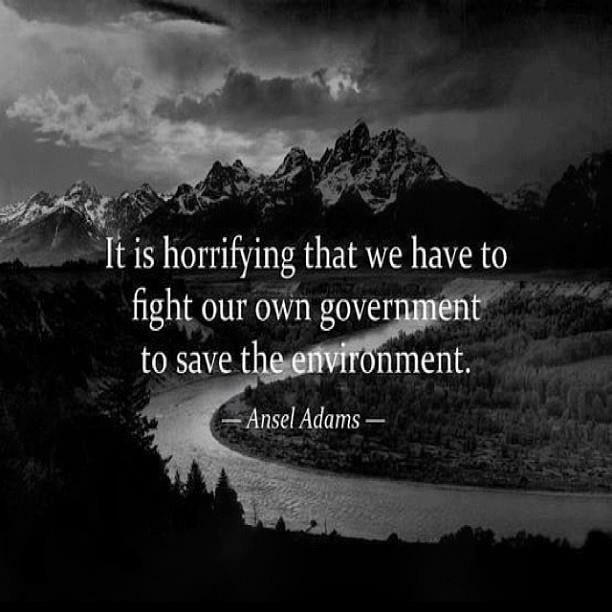 It is destroying our country financially, and wreaking havoc on the health and lives of our people, and that is the plain truth. 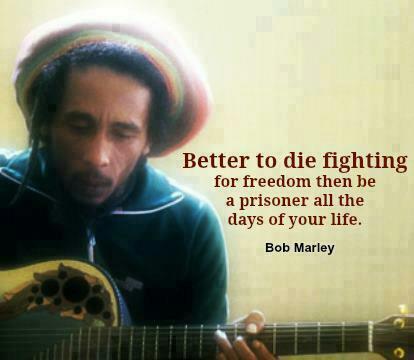 And if the truth won’t do, then something is wrong...!" > Granny Storm Crow is a remarkable lady who has been single-handedly compiling a vast annotated database of hyperlinks to medical studies and reports on cannabis for years, carefully saving it in PDF form, and giving it all away. So together, we’re finding out what is wrong (and more importantly, what is right!) and letting everyone know. That’s why people like us want to share this information far and wide. Here is where you can download the latest copy of her list as of January 2013. It’s a ZIP file containing the list itself, plus a separate glossary and index. 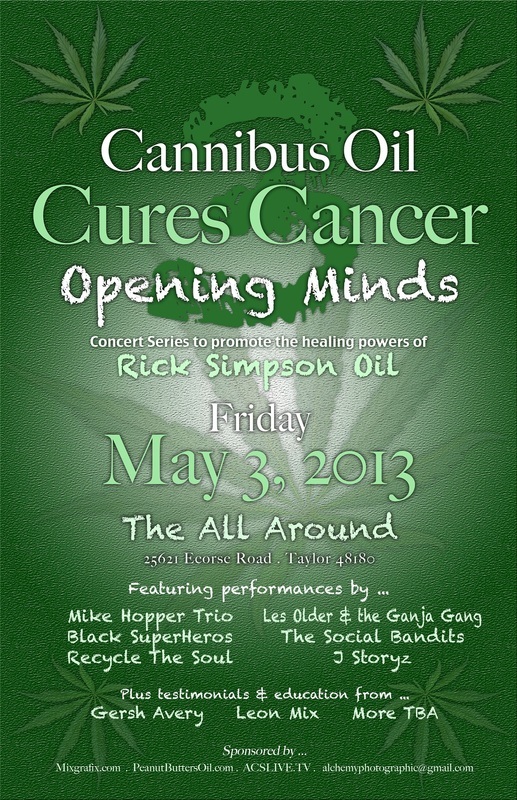 Enjoy…and share it with anyone who wants to learn more about what cannabis can really do as a medicine. 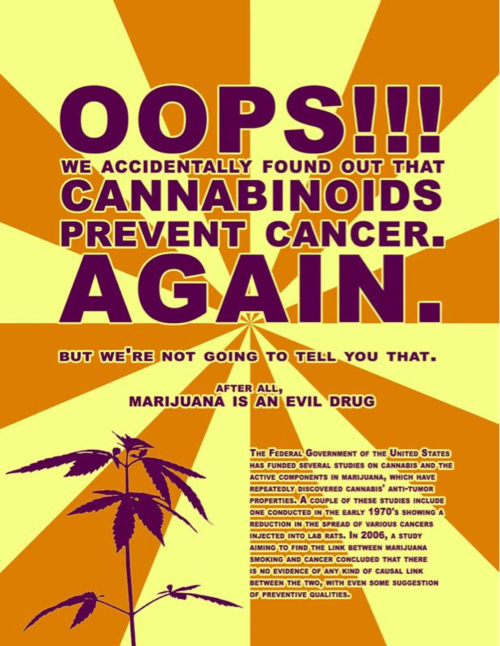 CANNABINOIDS may very well be one of the best disease and cancer fighting treatments out there. 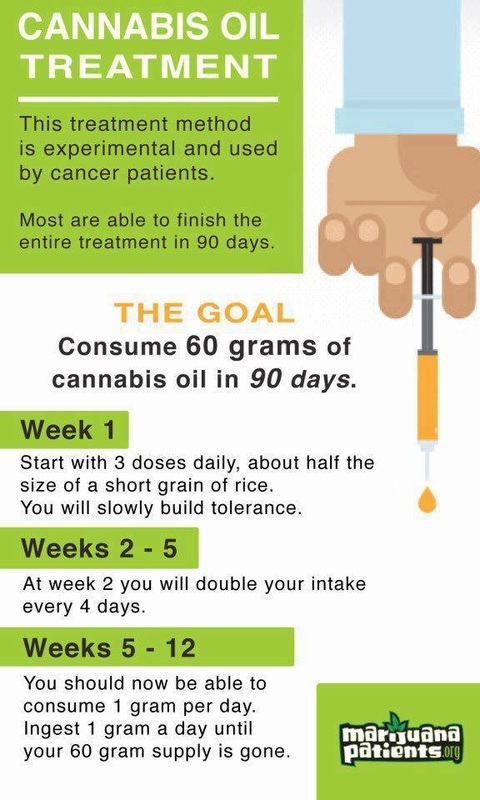 If you have heard of Rick Simpson, you have heard of his methods of preparing cannabis or hemp in such a way where he is able to extract the oil from it and use that oil to treat cancer. Rick has been very successful in his work and his popularity is growing as a result.